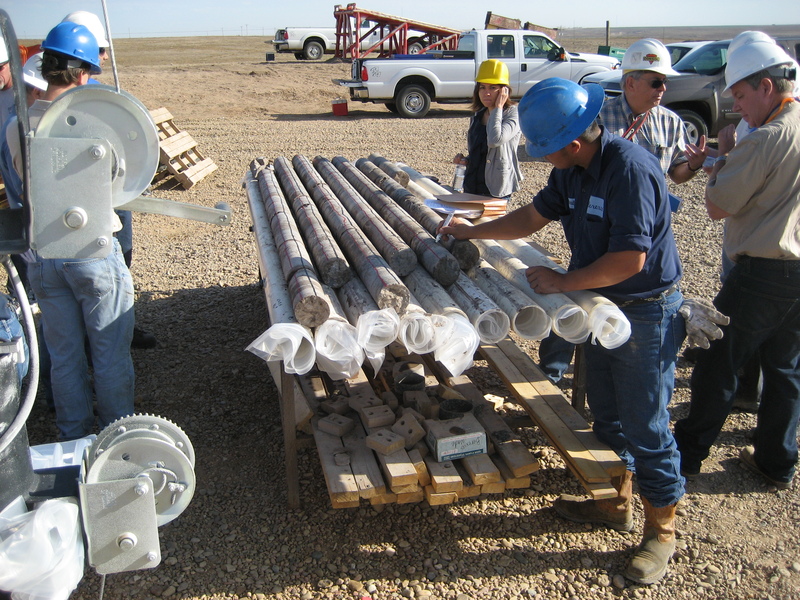 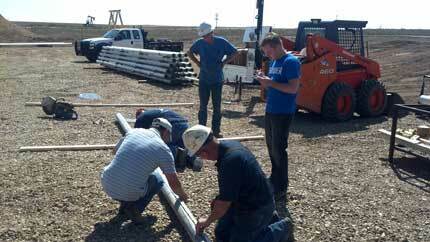 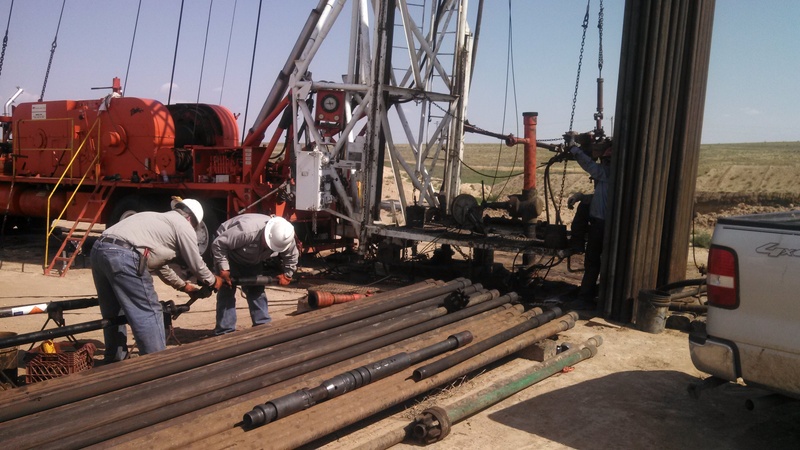 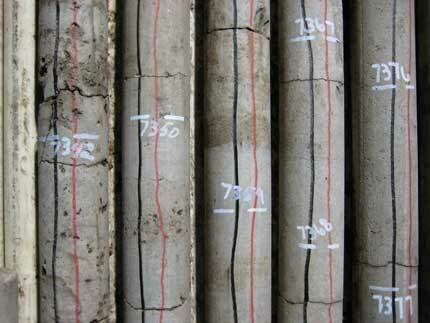 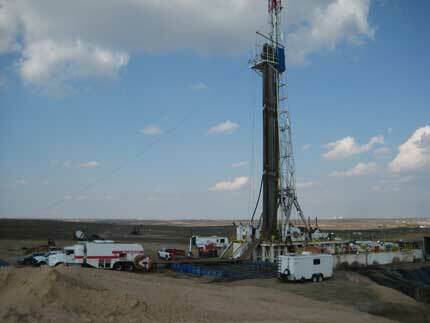 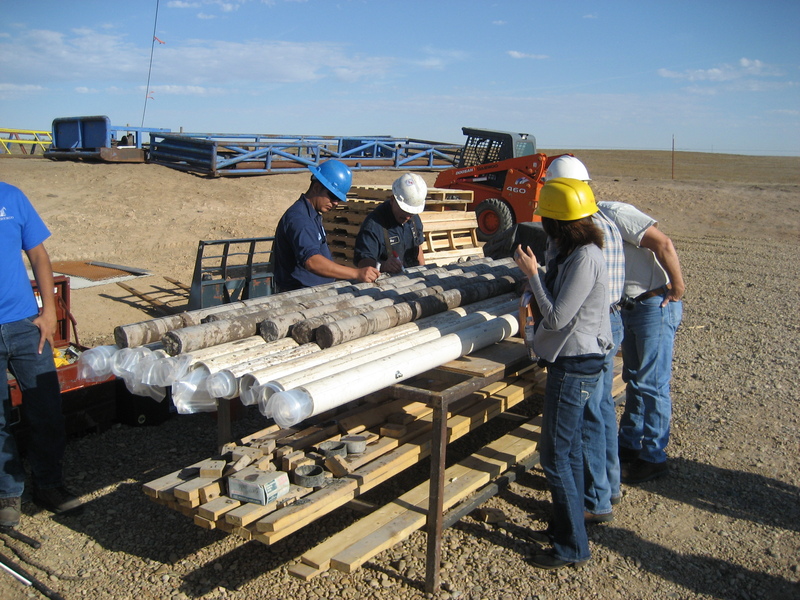 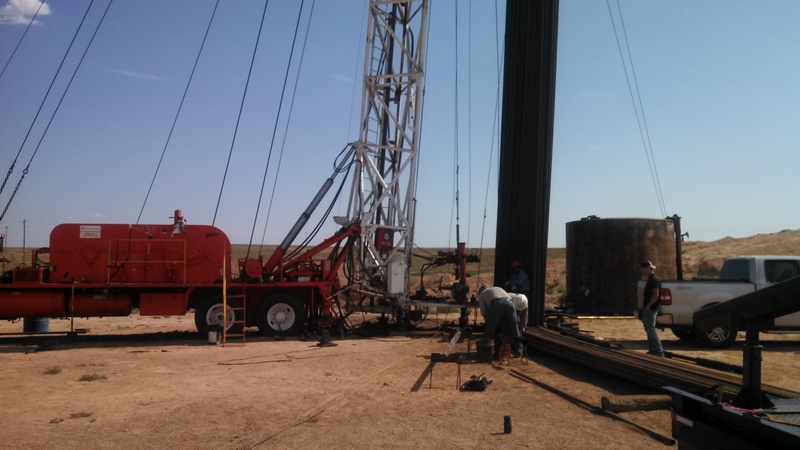 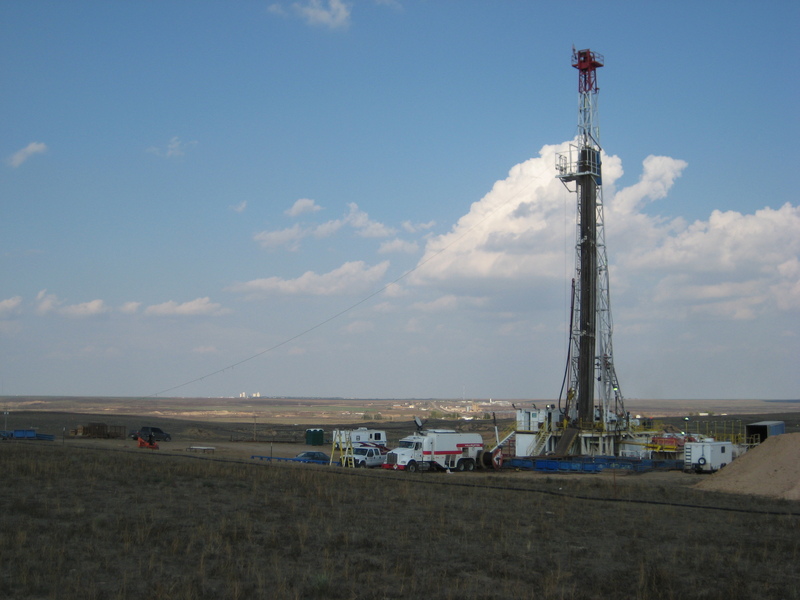 Final wireline logs available on the well's database page. 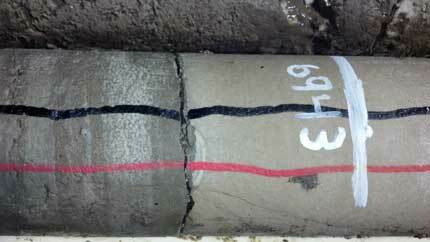 Oct. 5, 2012, Final report. 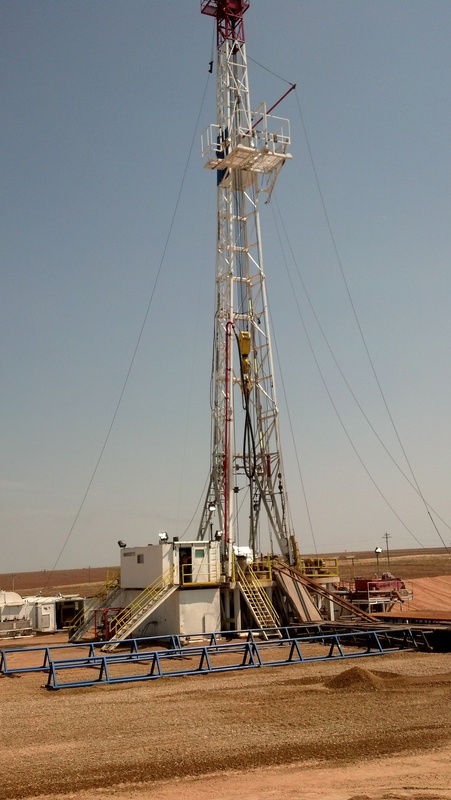 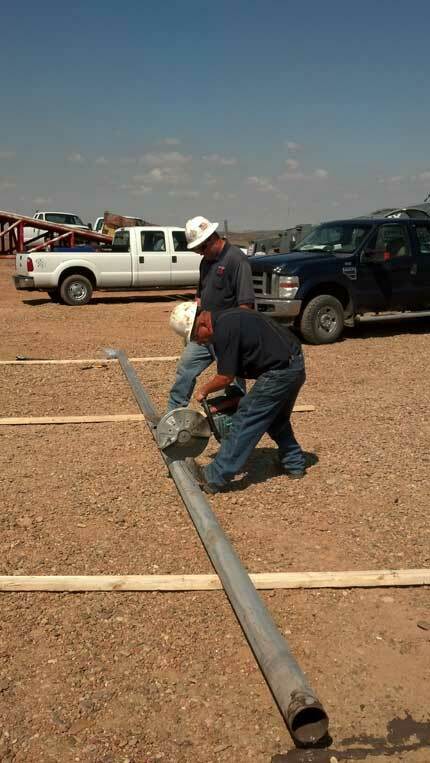 Sept. 28, 2012, At 1:30 pm Friday we are drilling ahead at 7639 feet at about 12-14 feet-per-hour rate. We look to be on target to begin logging Saturday morning, barring surprises. 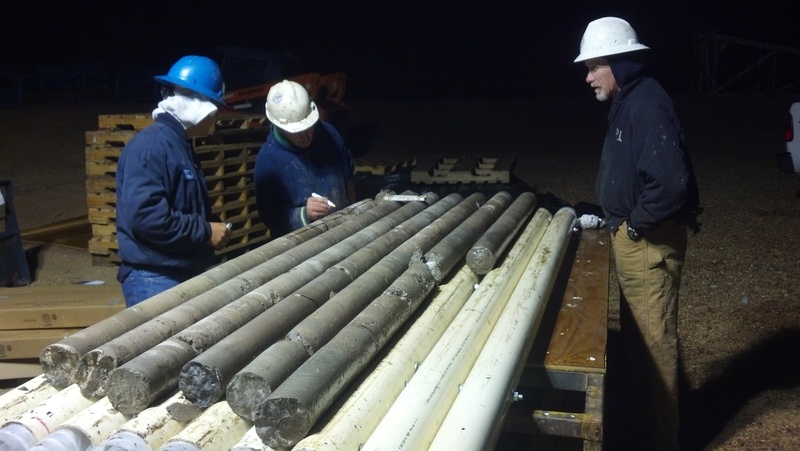 Sept. 17, 2012, Coring at 7155 feet. 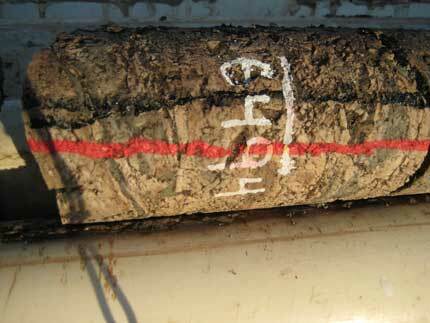 Sept. 5, 2012, Drilled to 6410 feet. 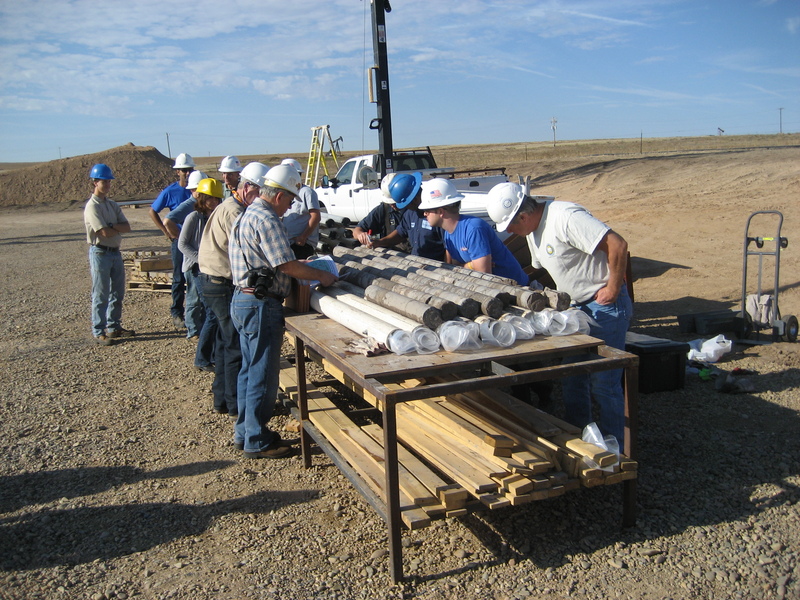 Aug. 27, 2012, Coring at 5450 feet. 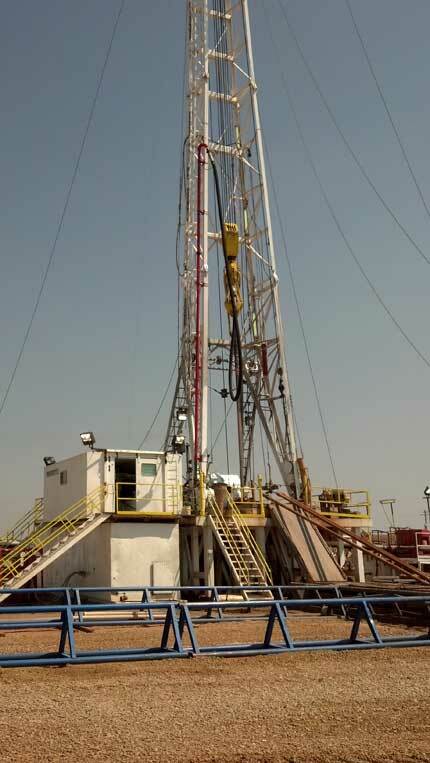 Aug. 23, 2012, Drilling at 4886 feet. 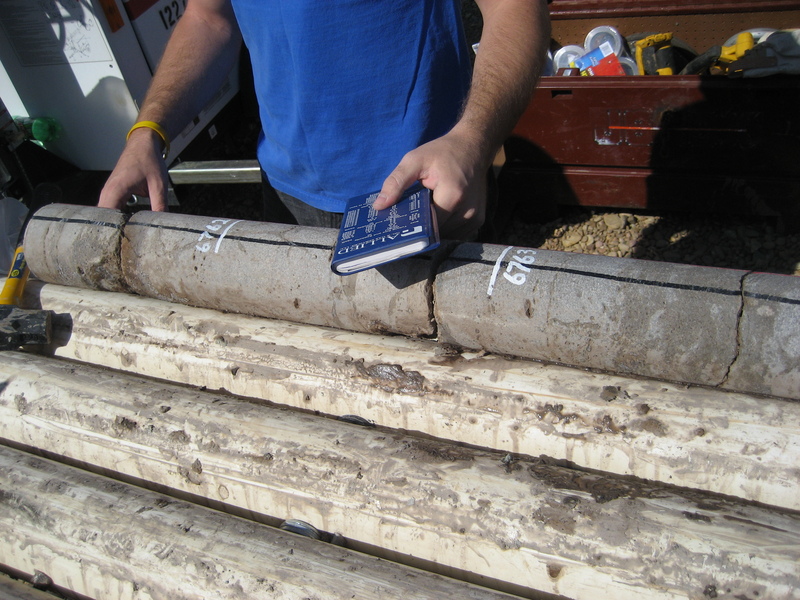 Aug. 22, 2012, Drilled to 4500 feet. Aug. 21, 2012, Drilling at 3898 feet. 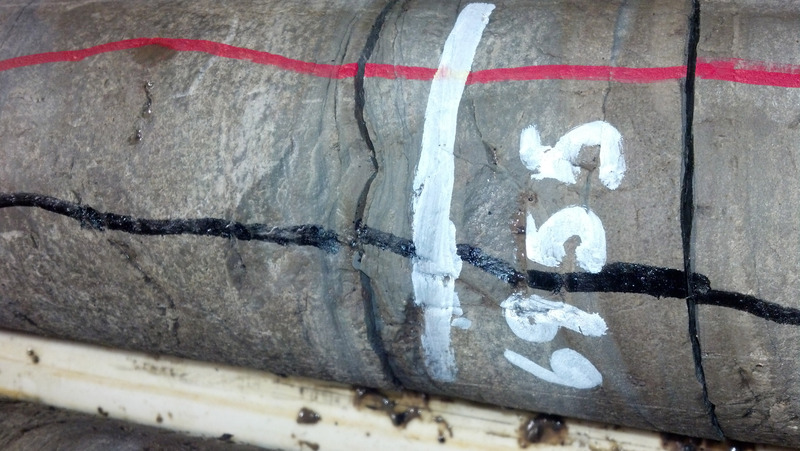 Aug. 20, 2012, Drilled to 3248 feet. 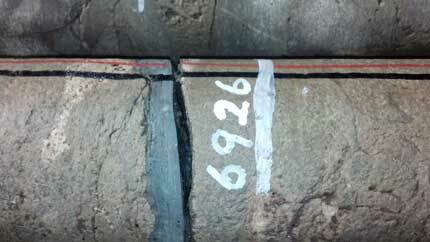 Aug. 17, 2012, Drilled to 1742 feet. 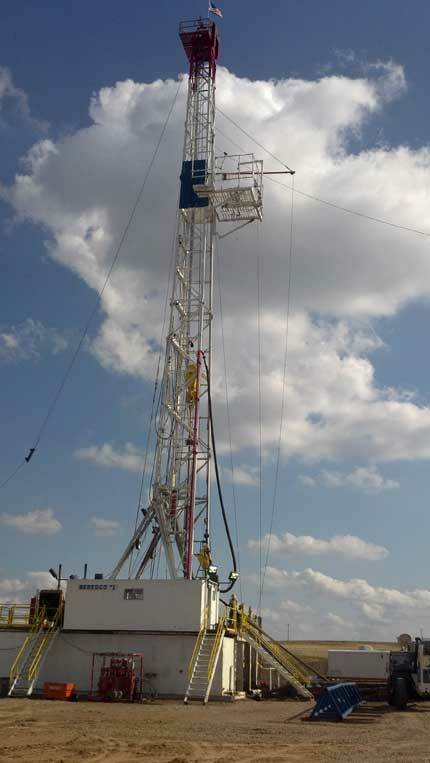 Aug. 16, 2012, Drilling at 1074 feet. 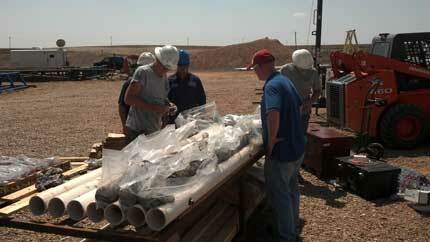 Aug. 15, 2012, preparing to drill surface hole. Aug. 14, 2012, began rigging up Beredco Rig #1. 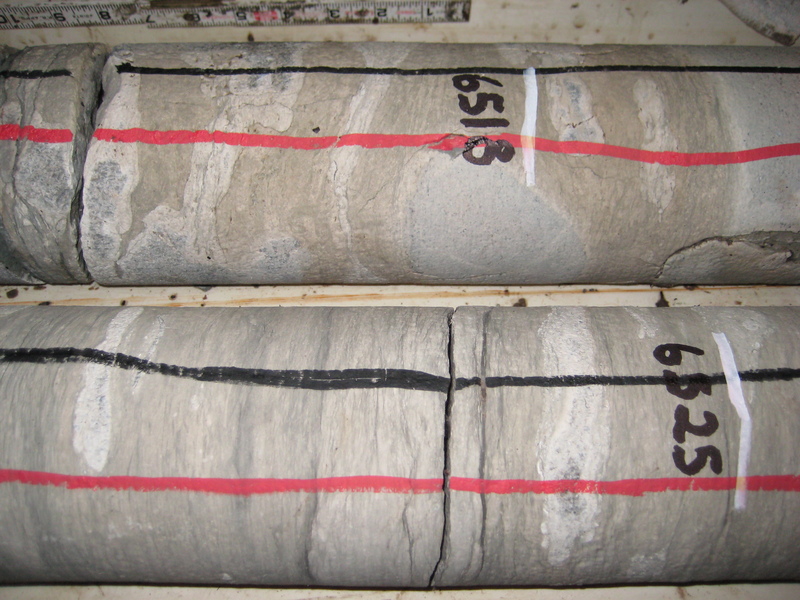 Granite top is roughly 7600-7610 feet. 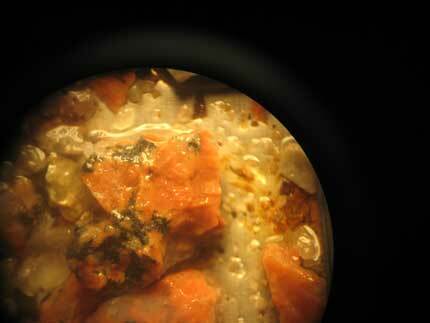 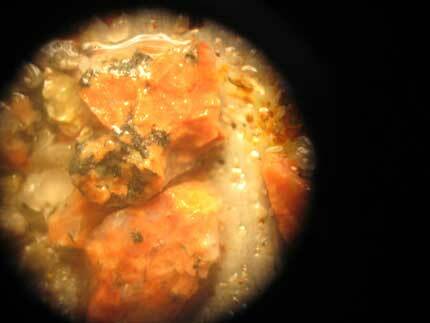 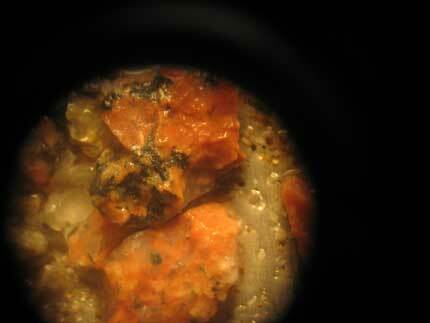 Pictures in micro from rocks at 7620 foot depth. 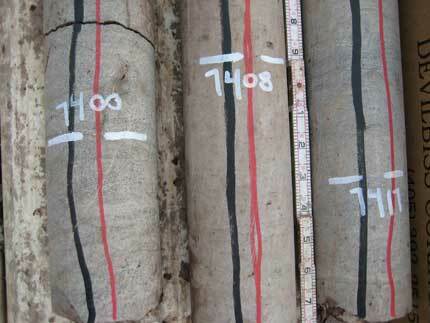 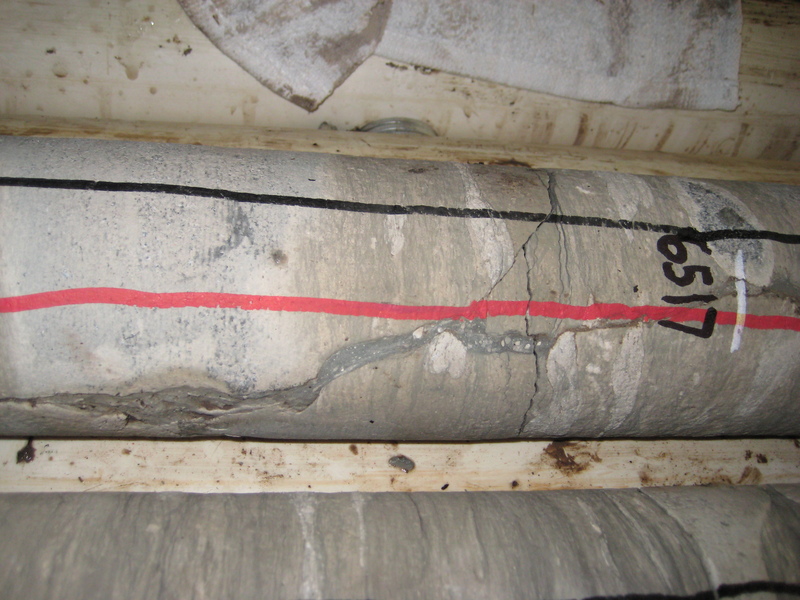 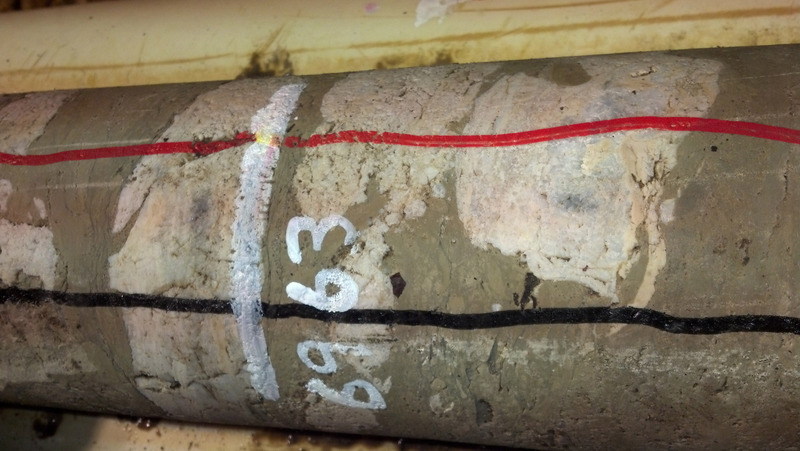 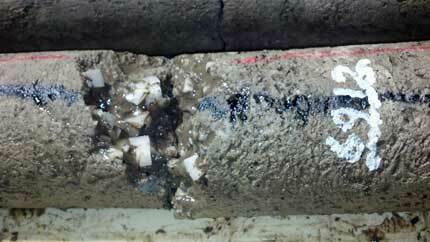 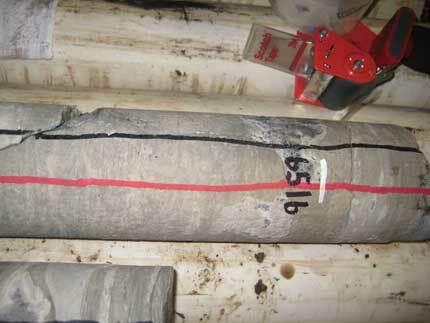 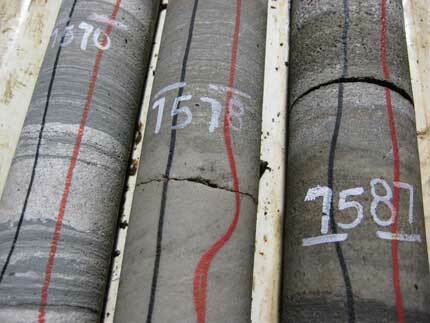 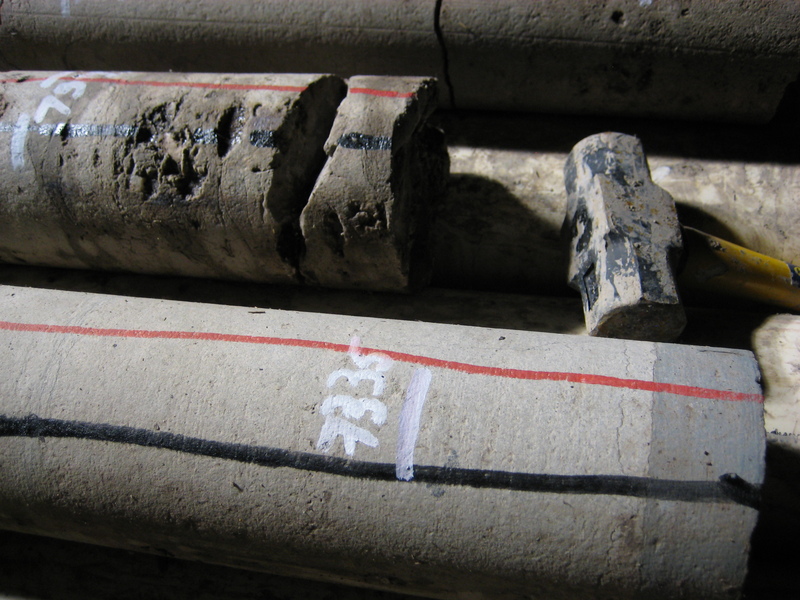 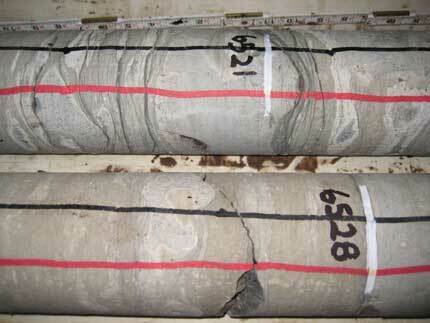 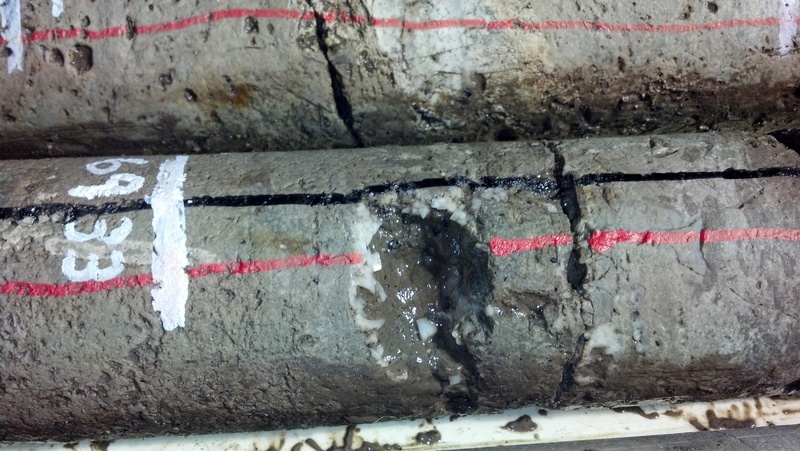 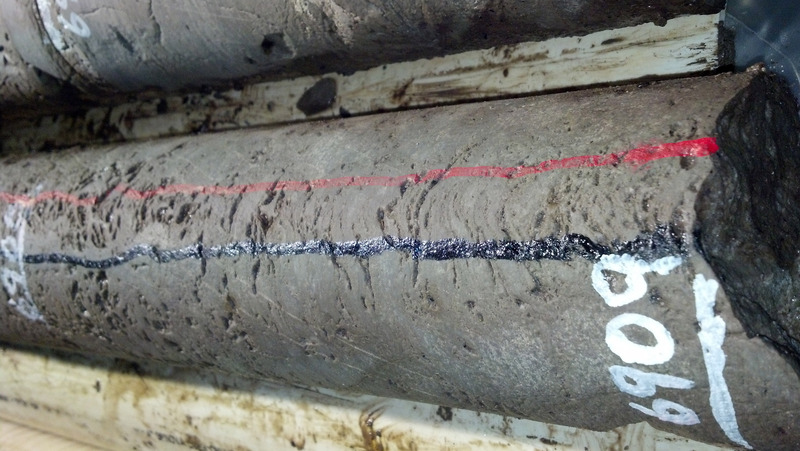 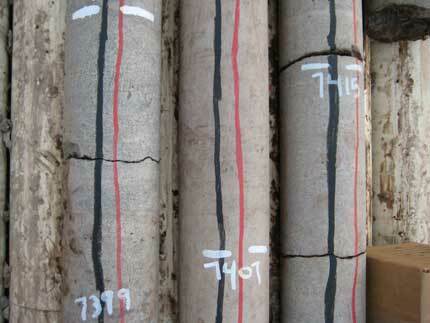 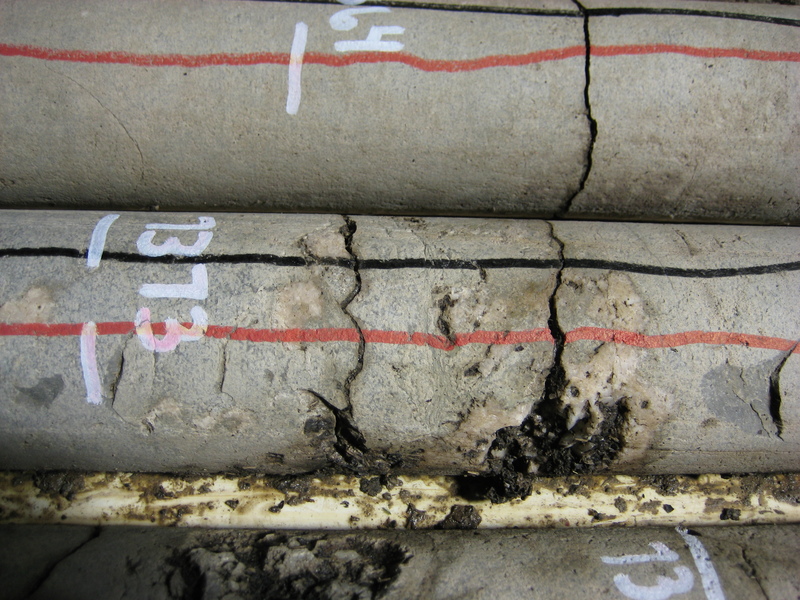 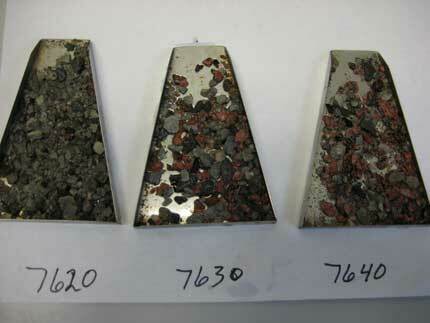 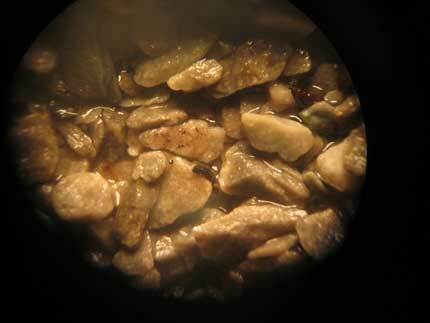 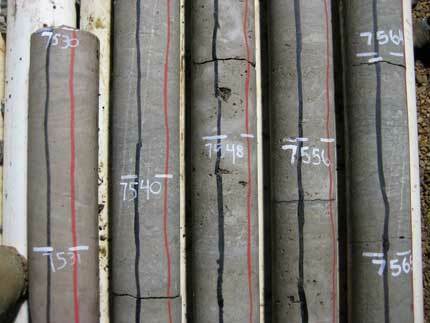 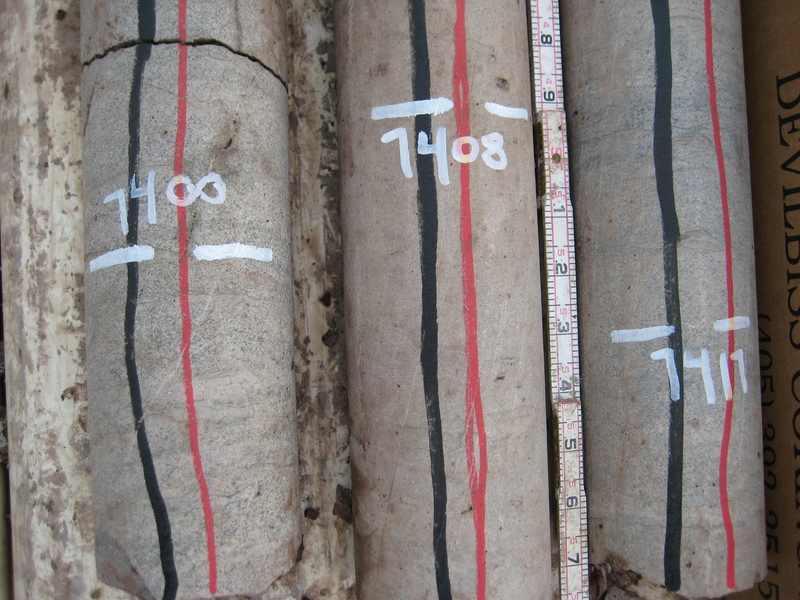 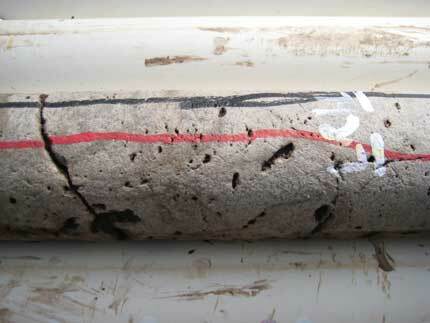 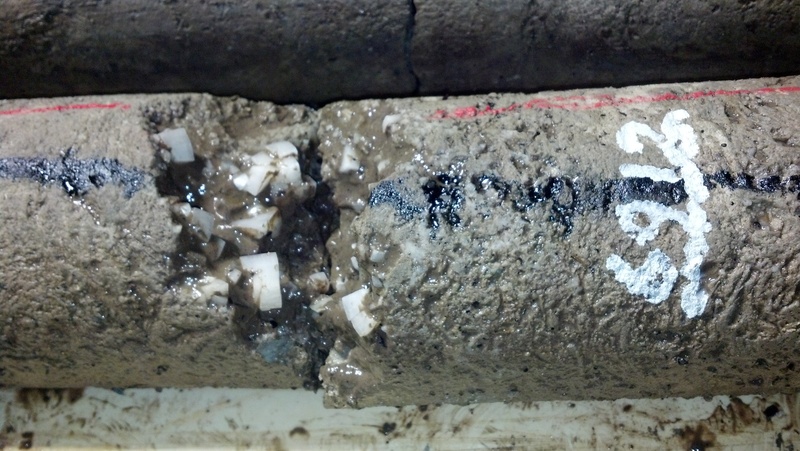 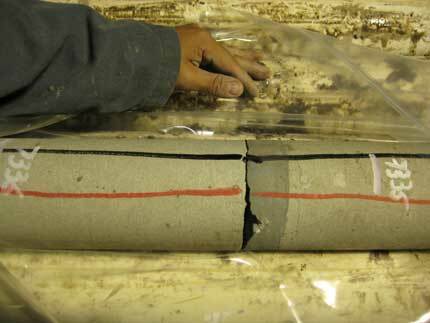 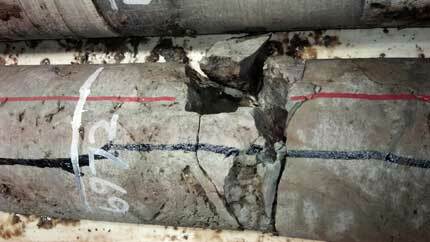 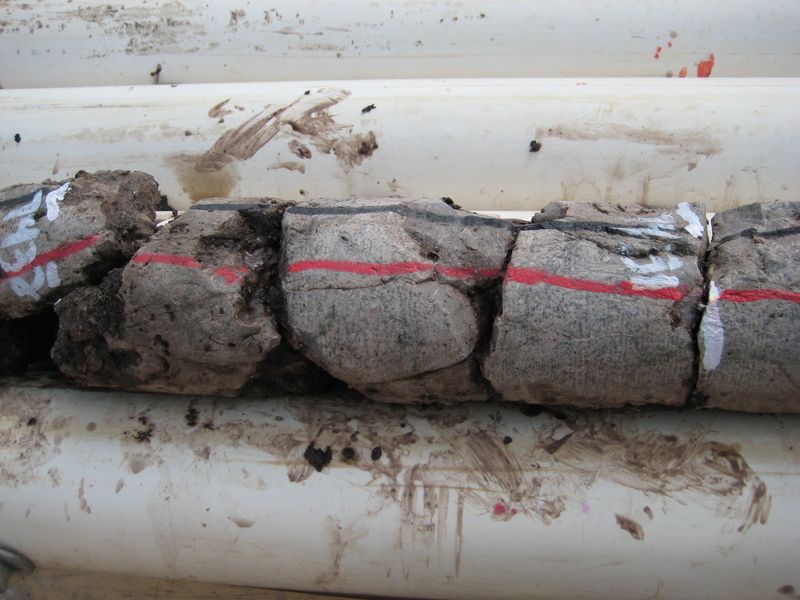 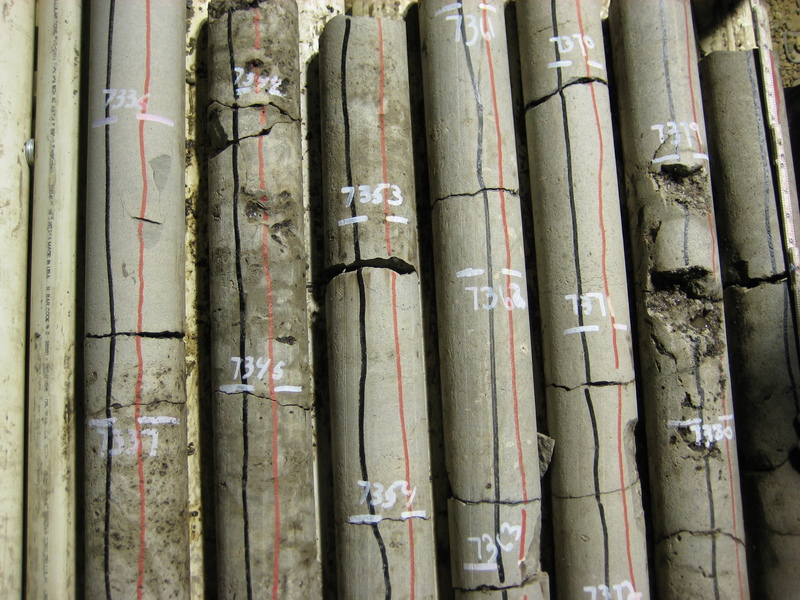 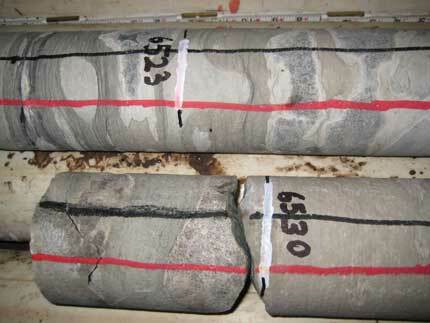 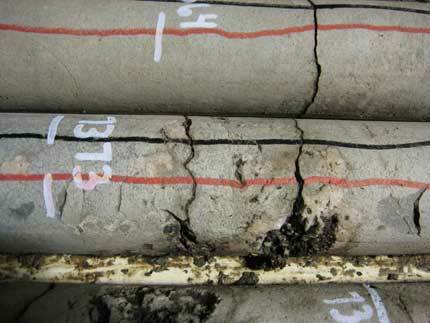 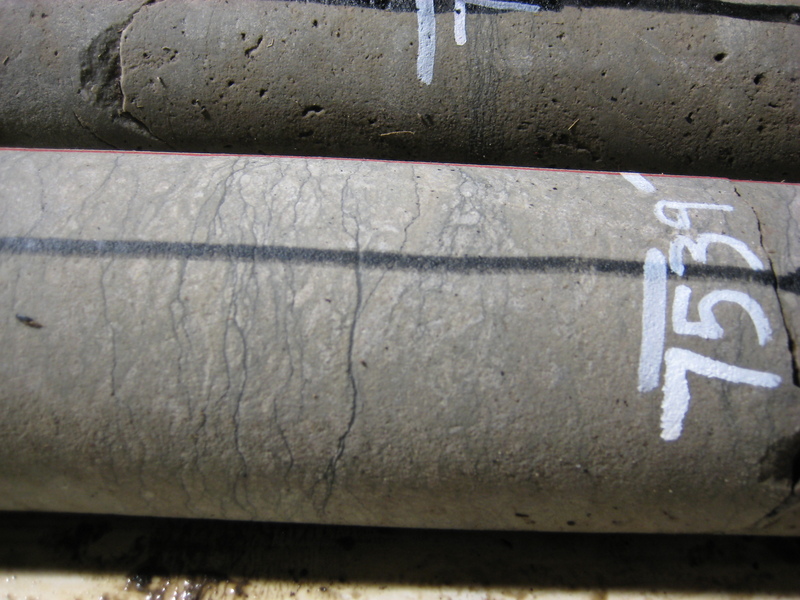 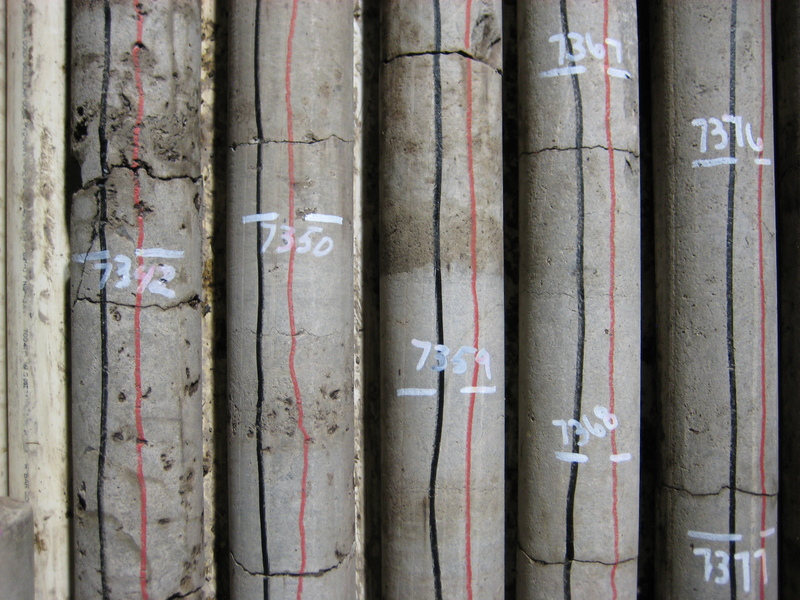 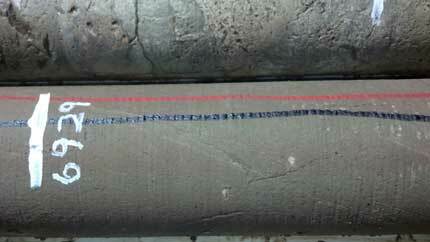 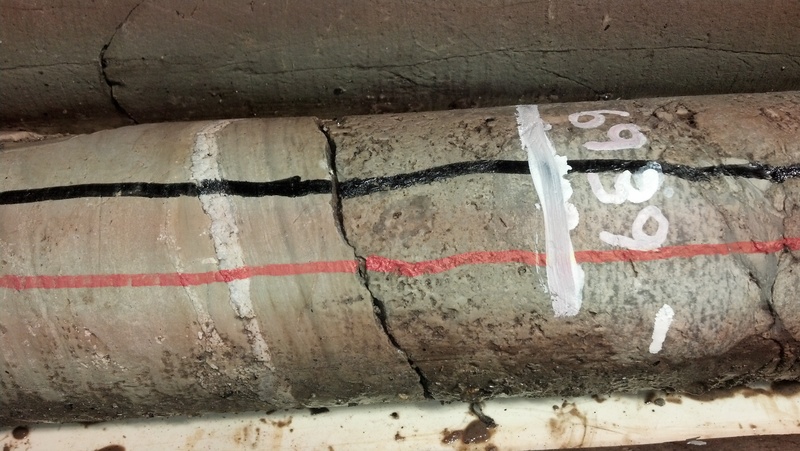 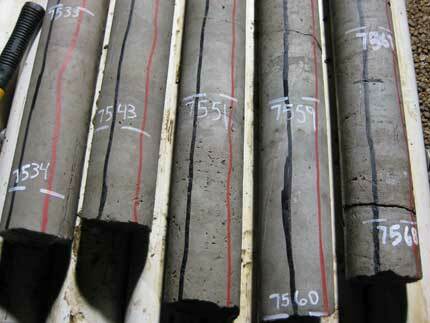 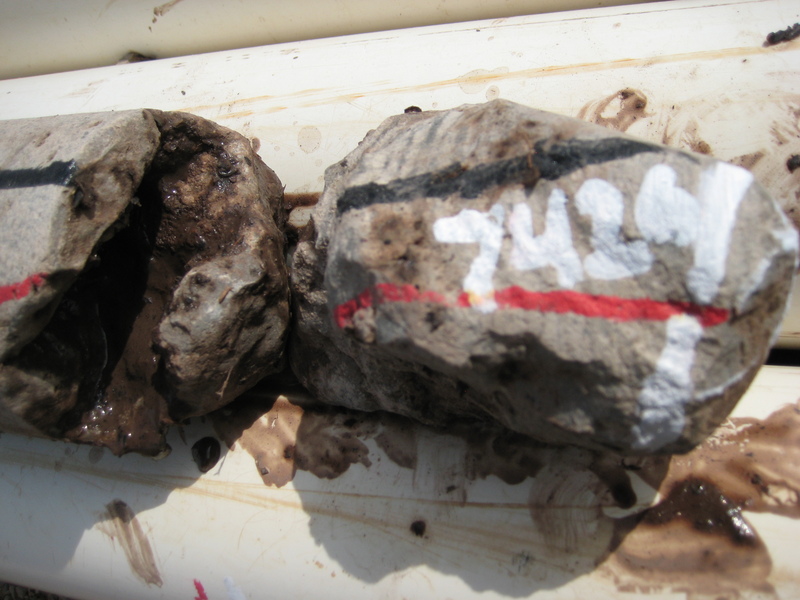 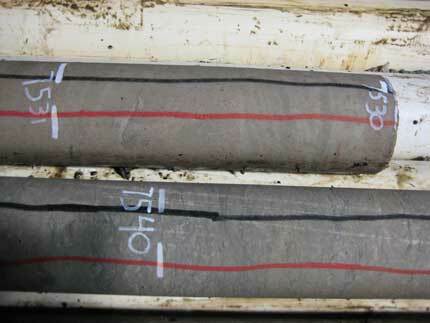 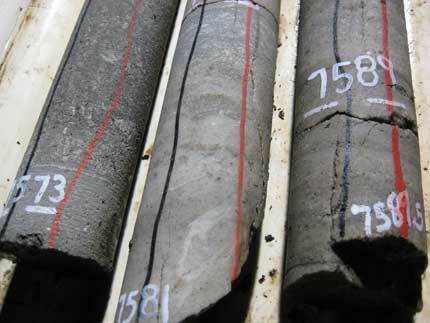 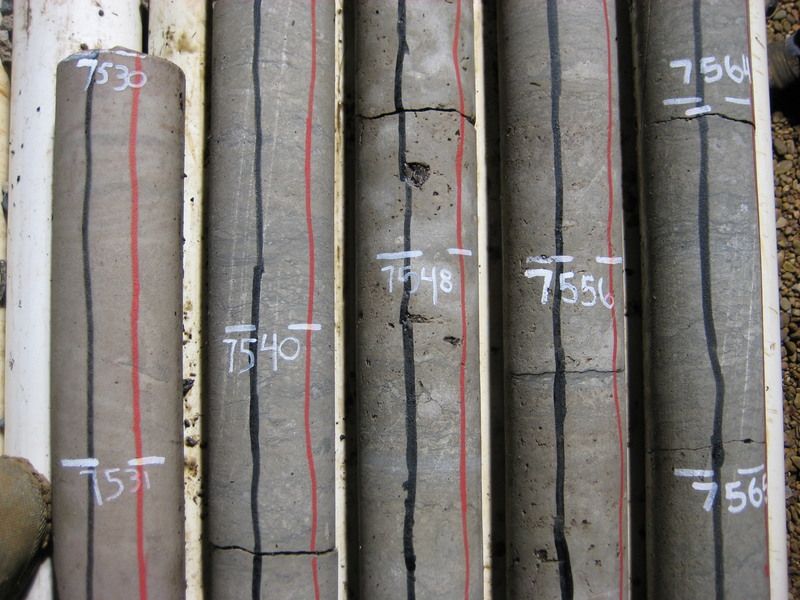 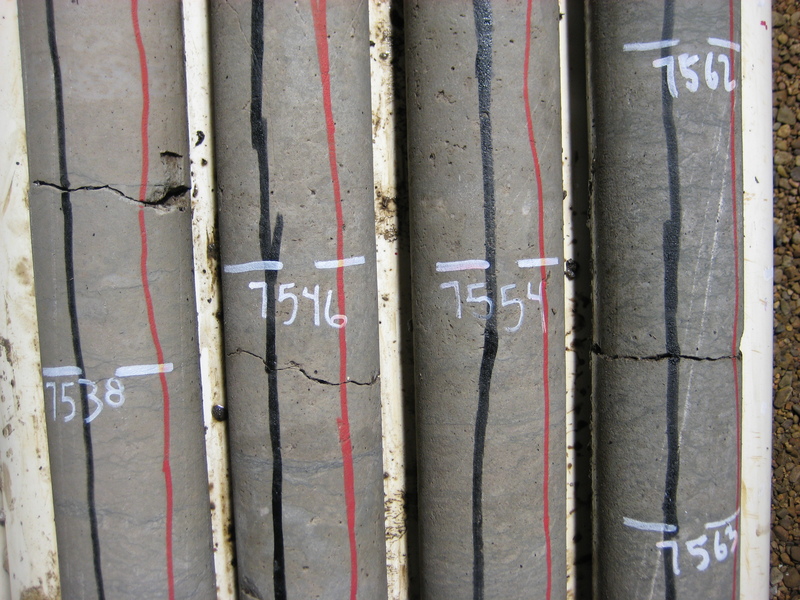 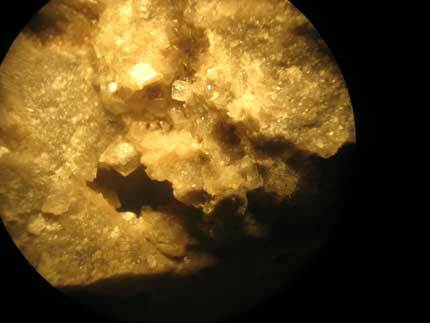 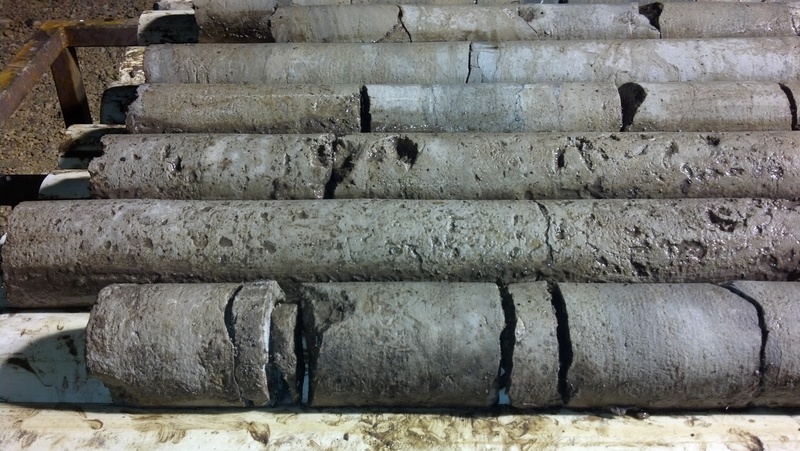 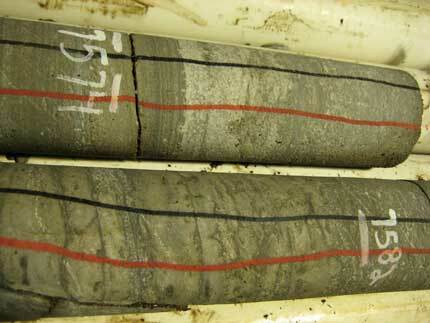 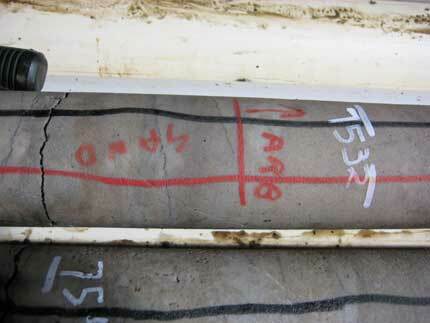 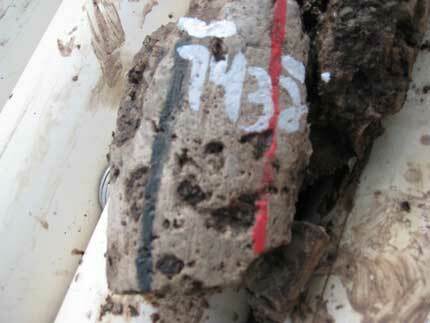 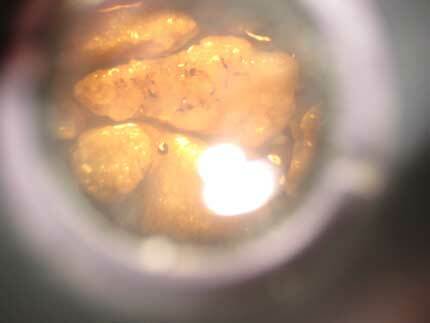 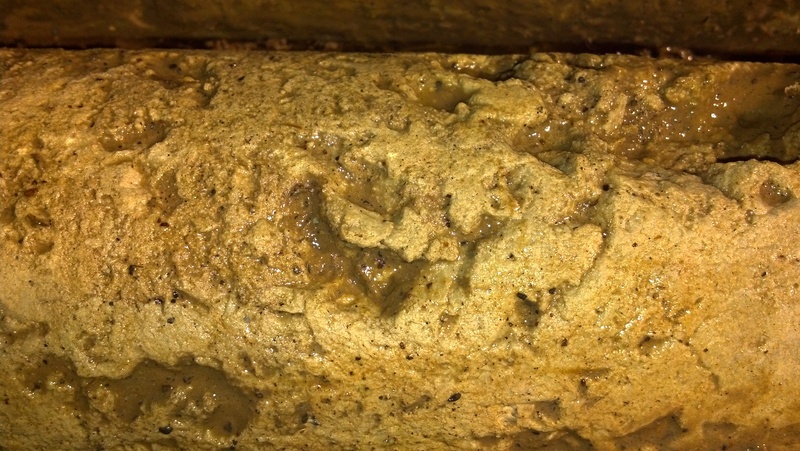 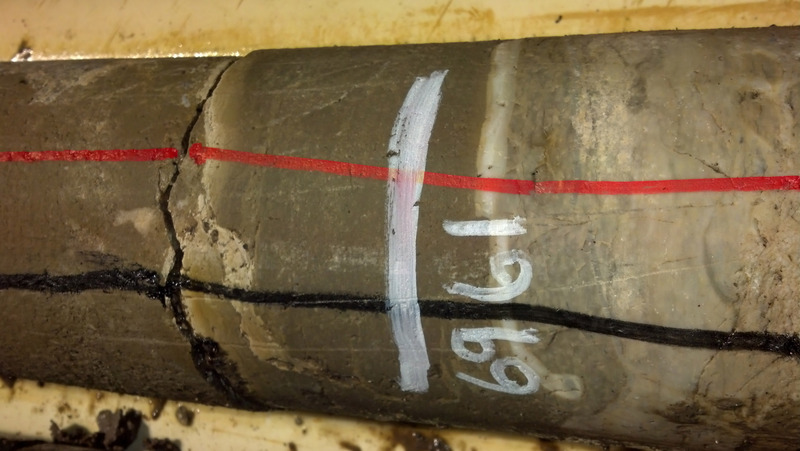 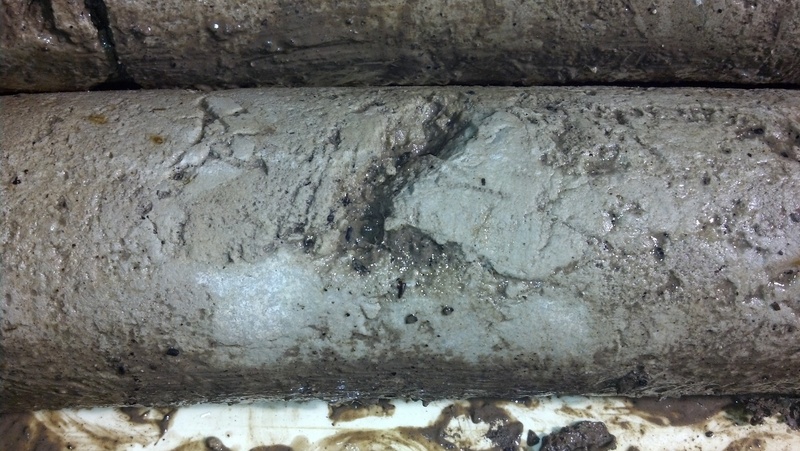 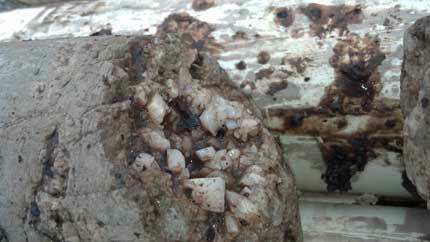 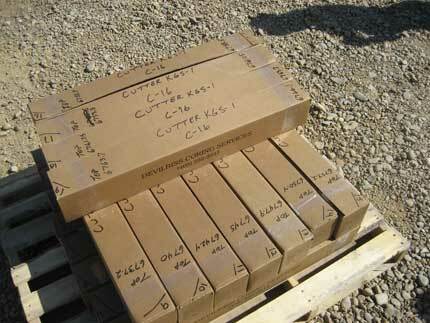 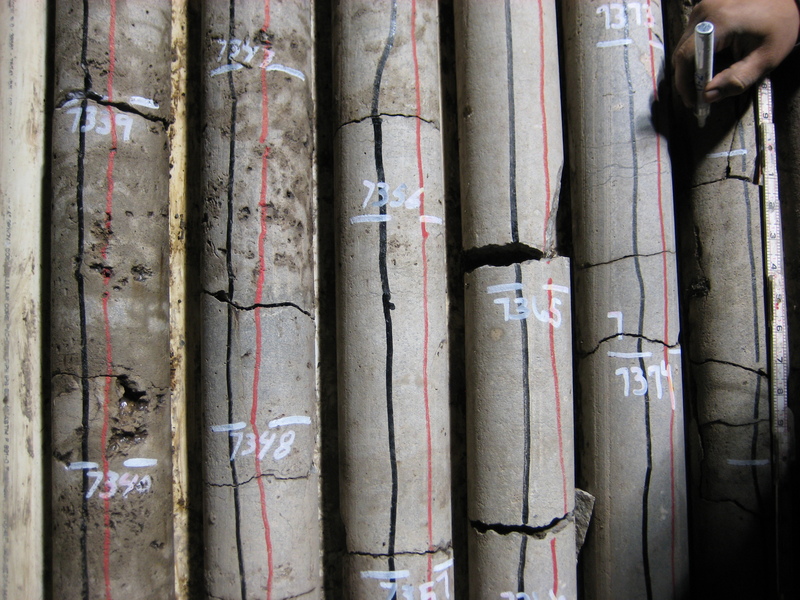 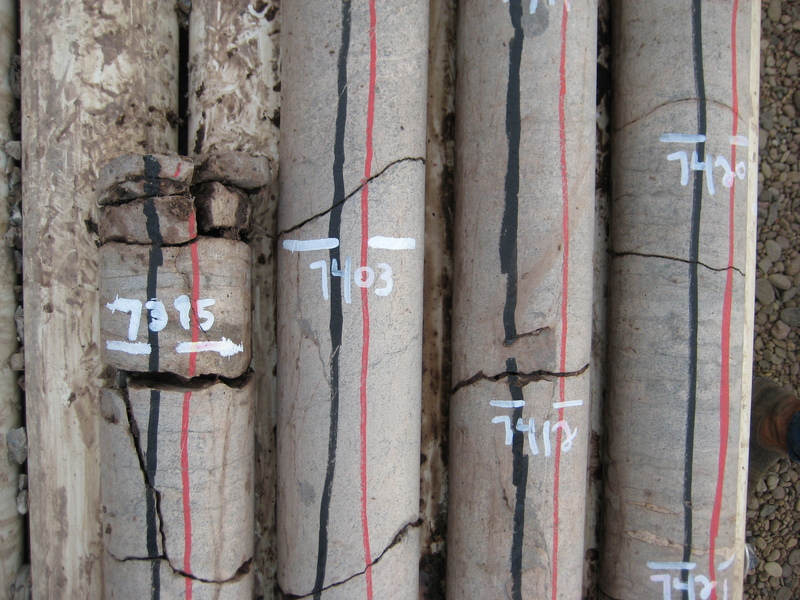 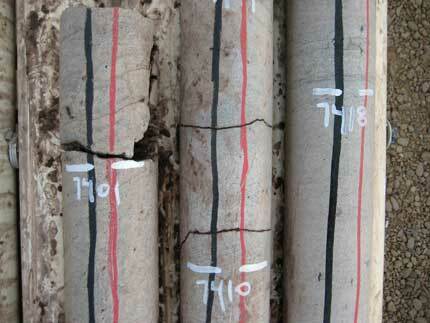 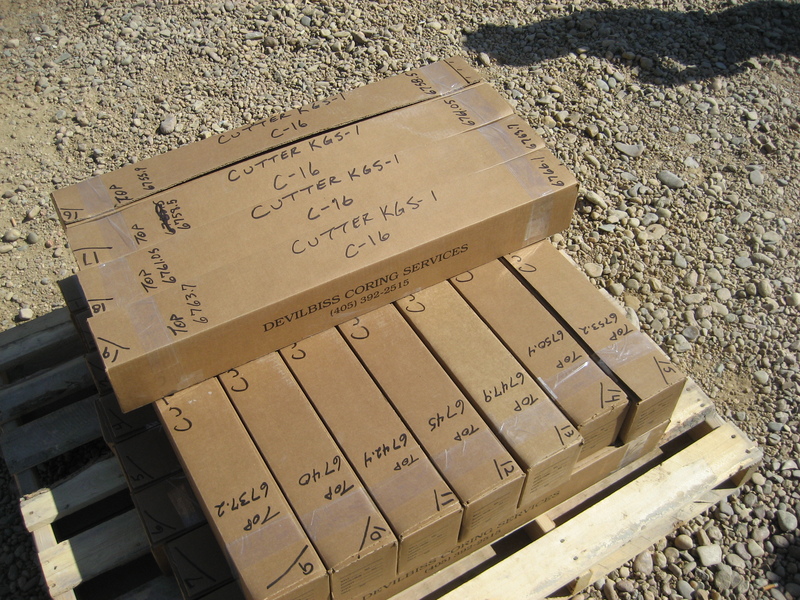 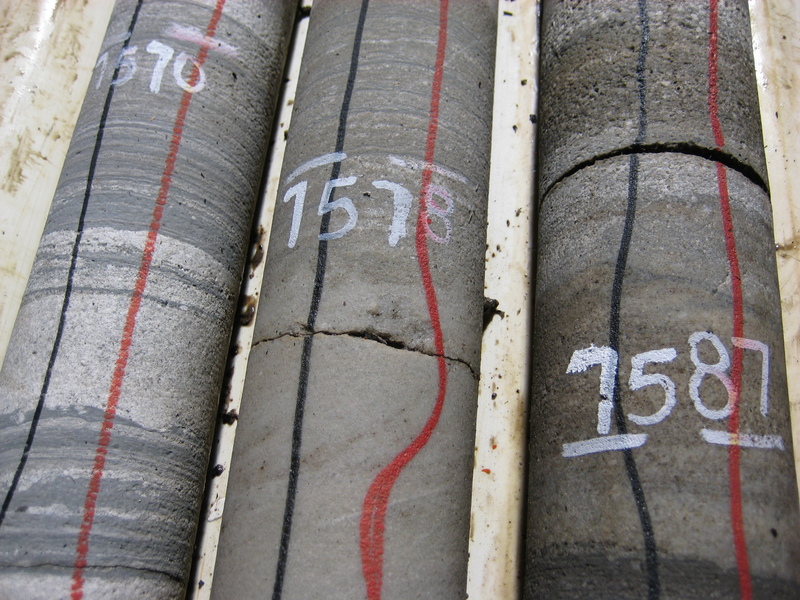 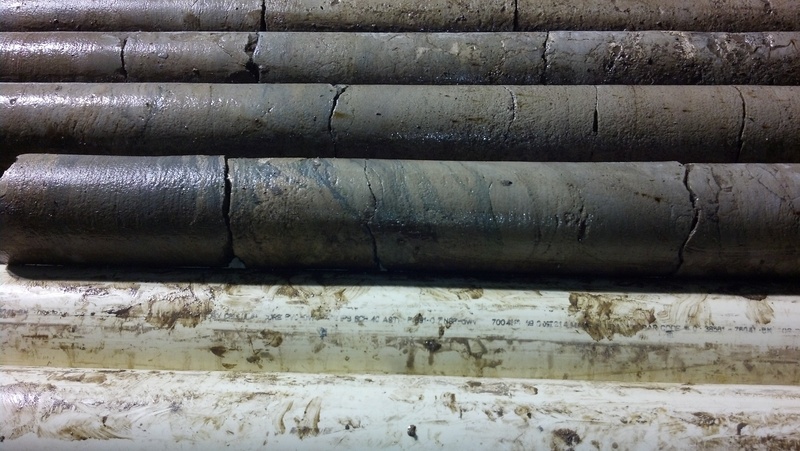 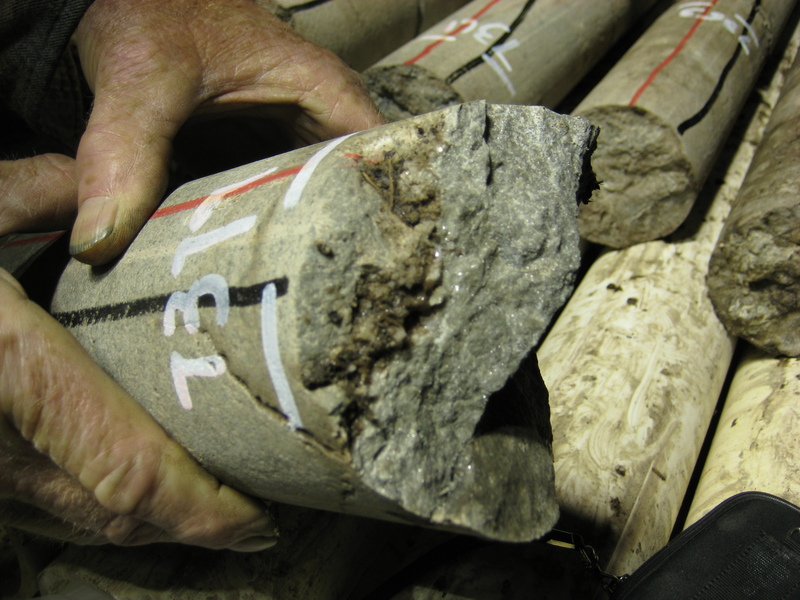 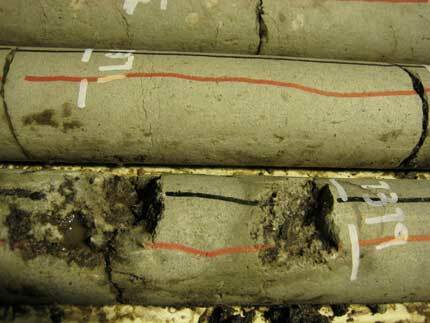 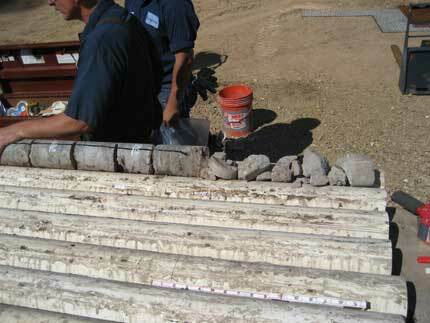 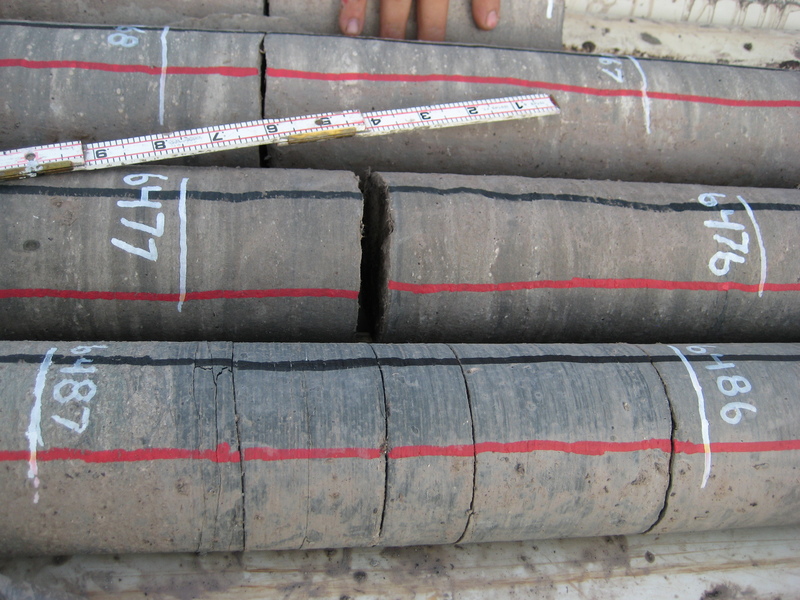 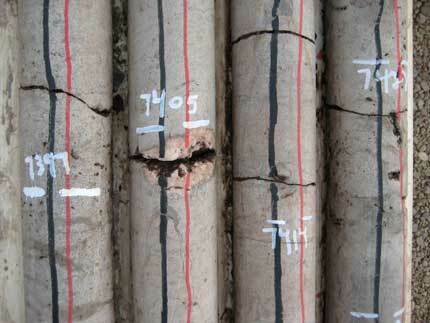 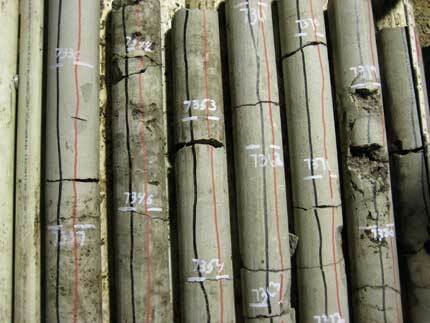 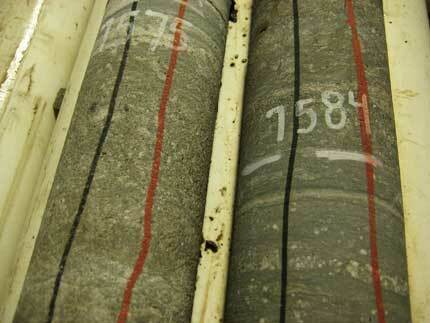 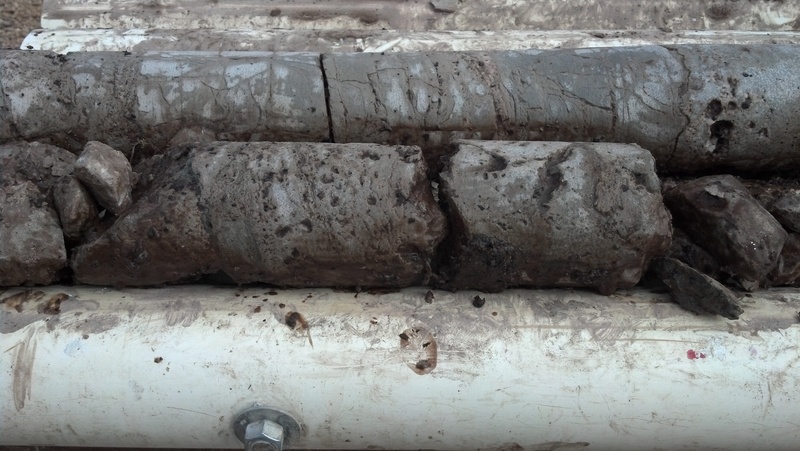 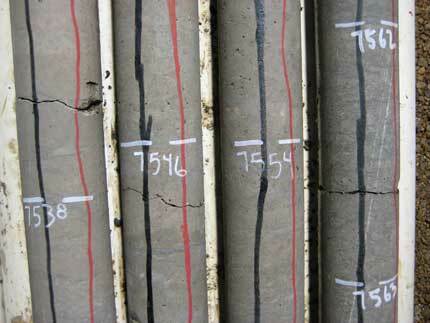 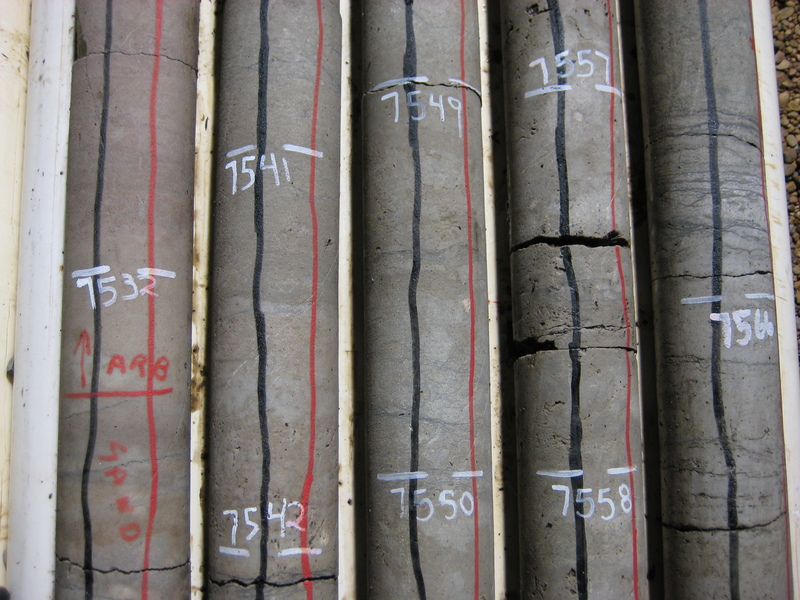 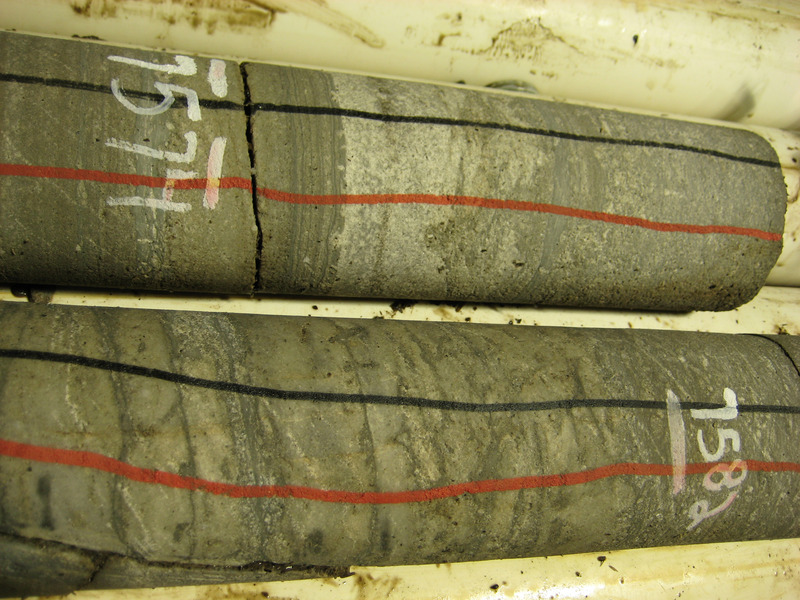 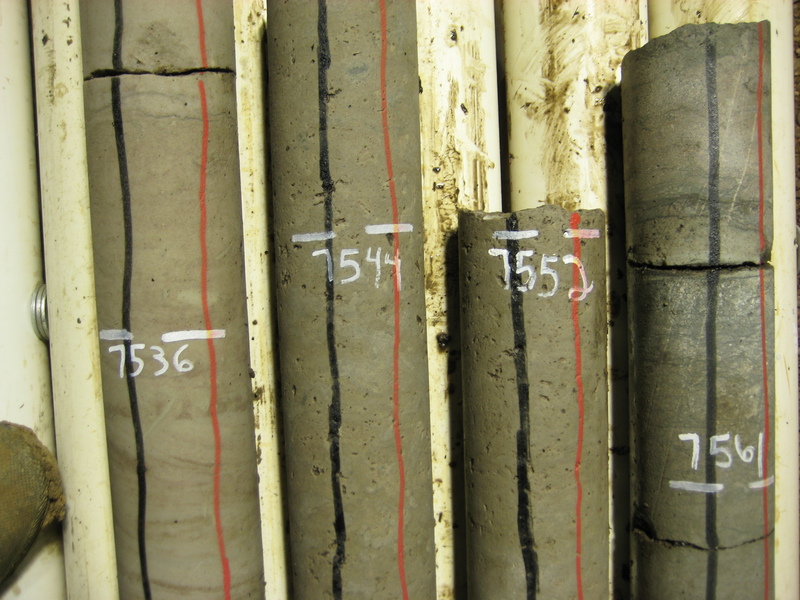 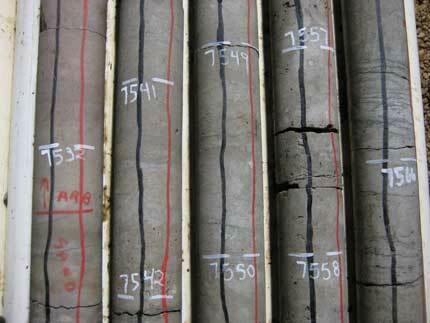 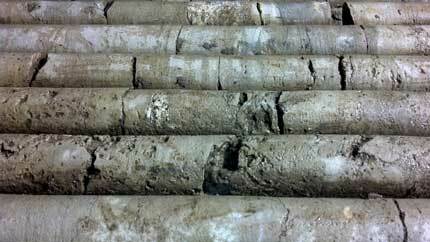 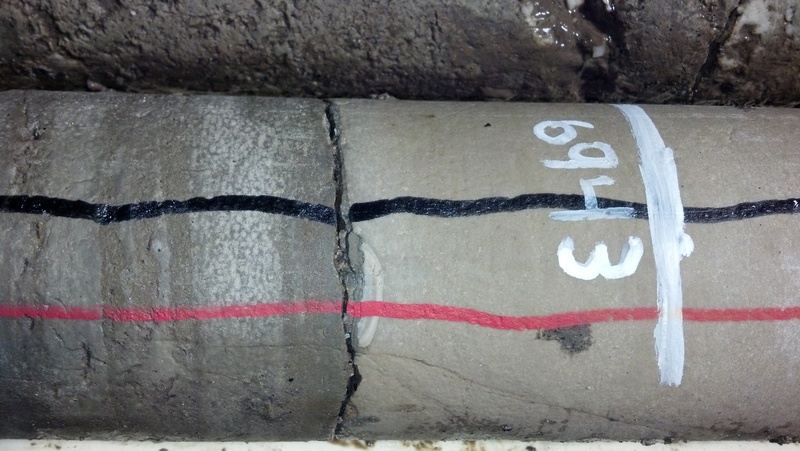 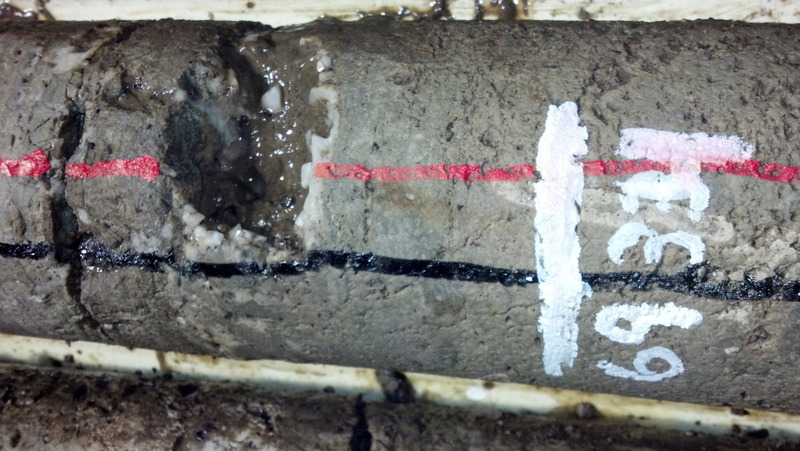 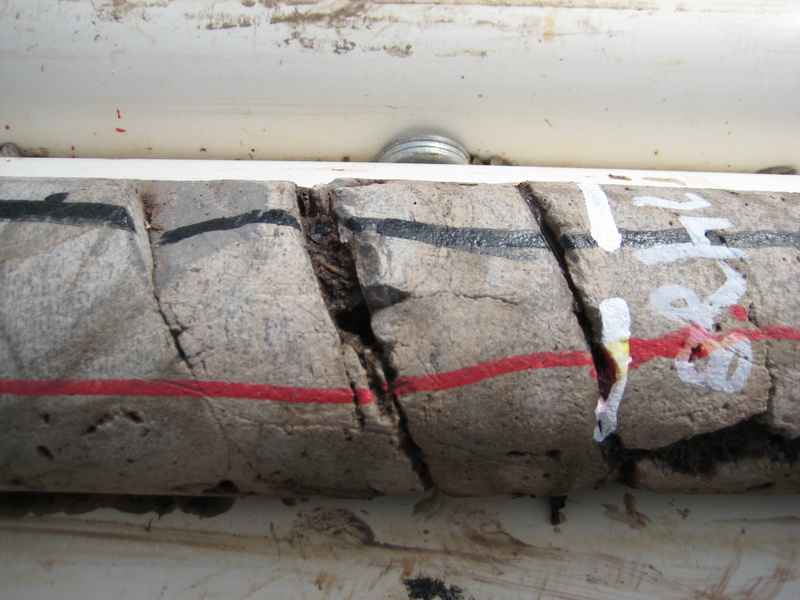 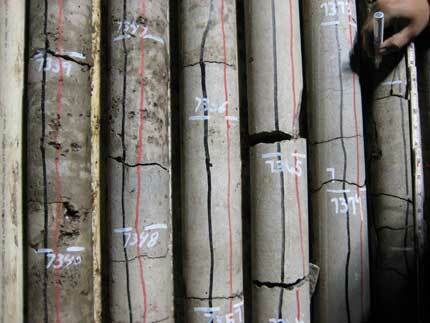 Picture of rocks in trays show unlagged depths, so samples are from about 20 feet higher actual depth. 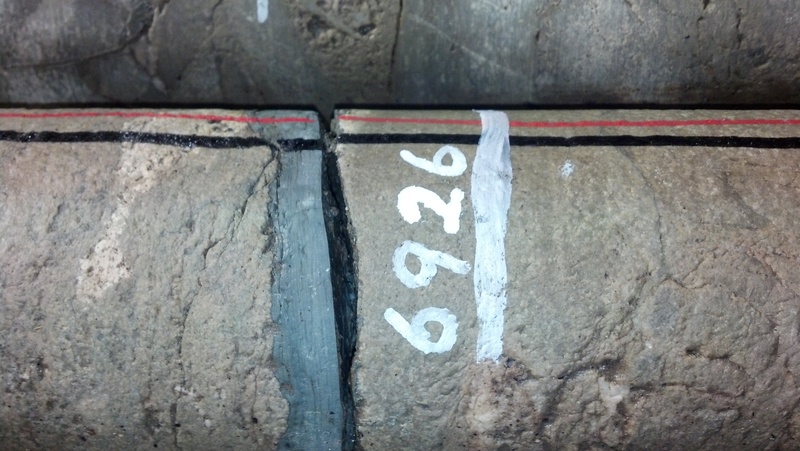 That puts the top of the granite between 7600 and 7610 feet. 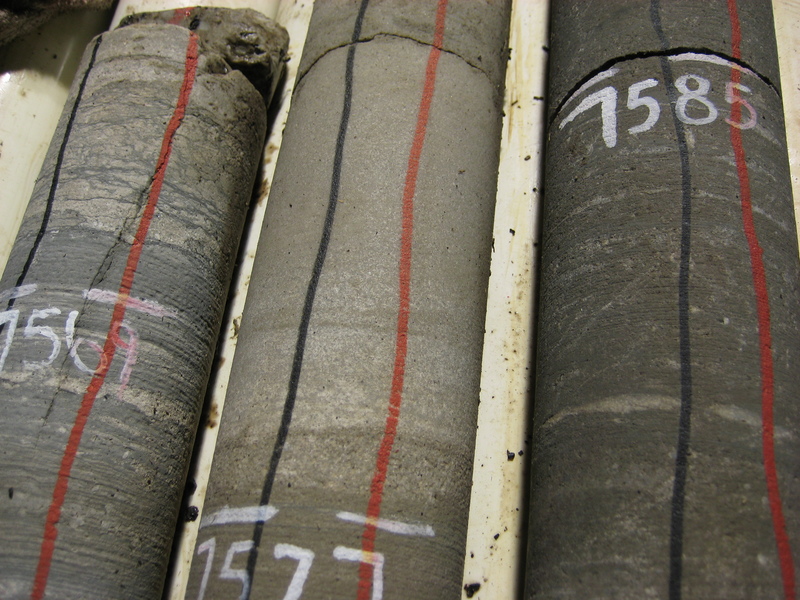 Pictures of cores from 7568-7589 feet. Pictures of cores from 7530-7568 feet. 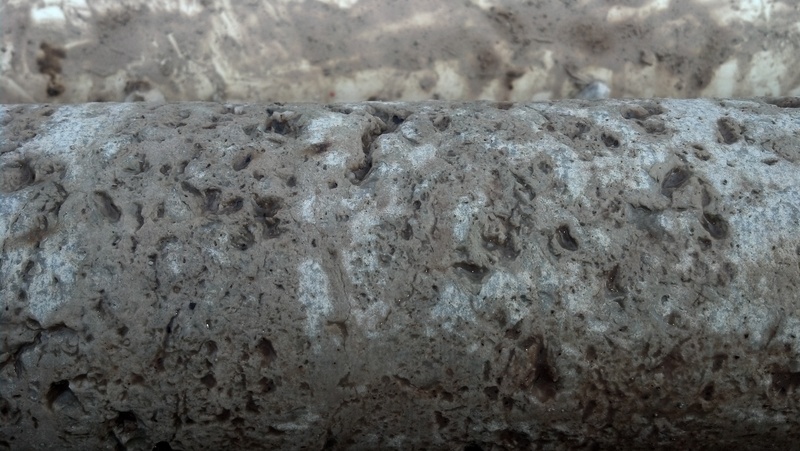 Pictures of rock from 7558 feet, Reagan Sand. 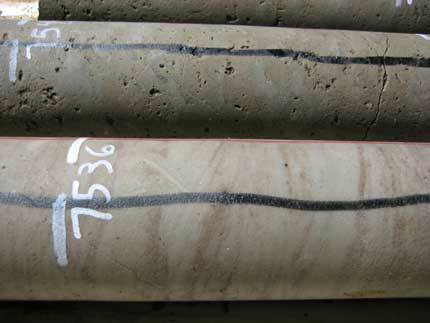 Pictures of cores from 7394-7426 feet. 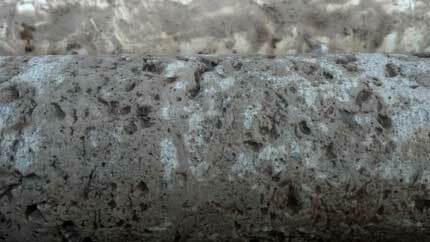 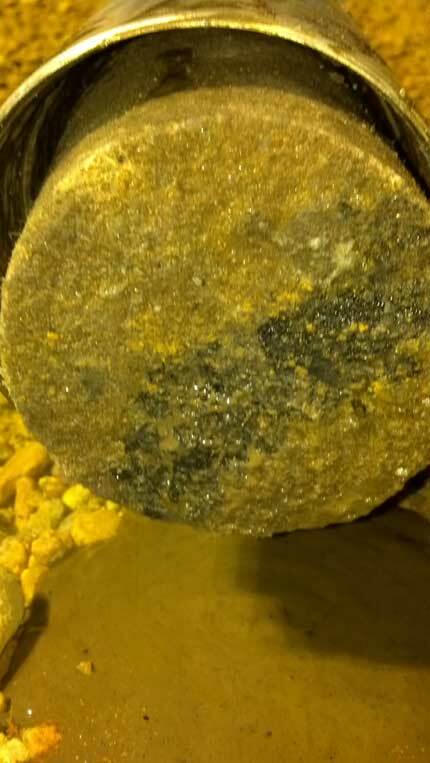 Pictures of cores from 7334-7394 feet. 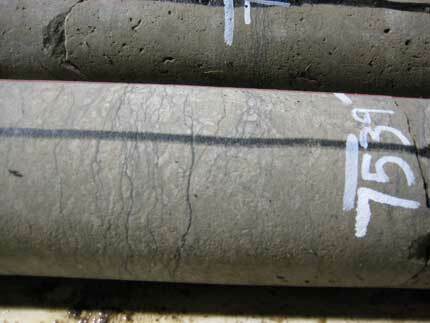 Pictures of cores from 7257-7271 feet. 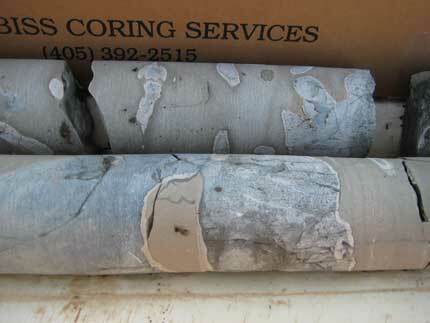 Pictures of cores from 7178-7237 feet. Pictures of cores from 6900-6990 feet. 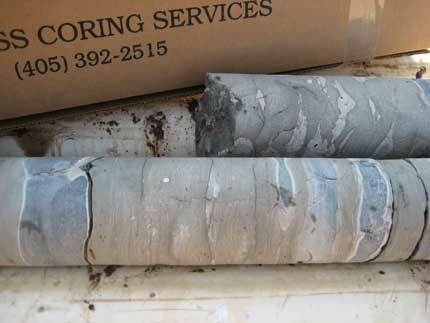 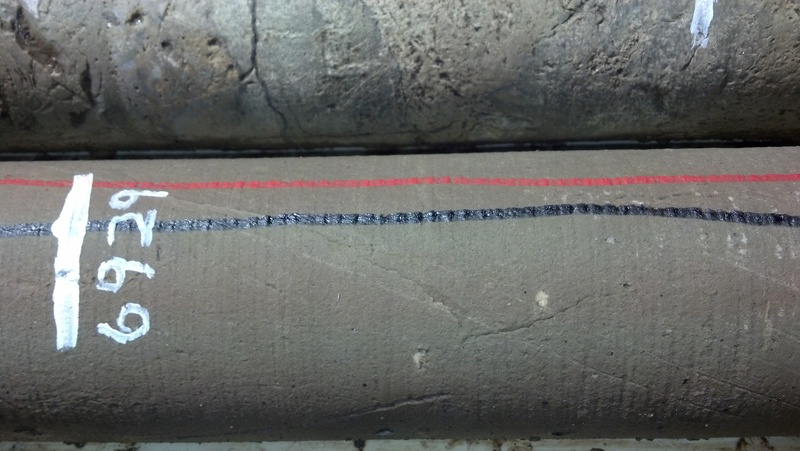 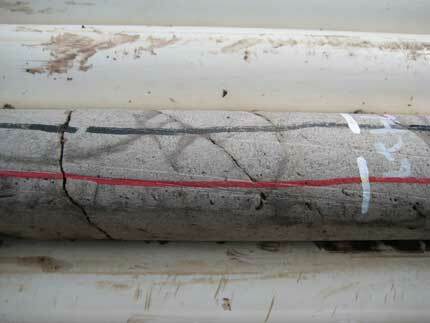 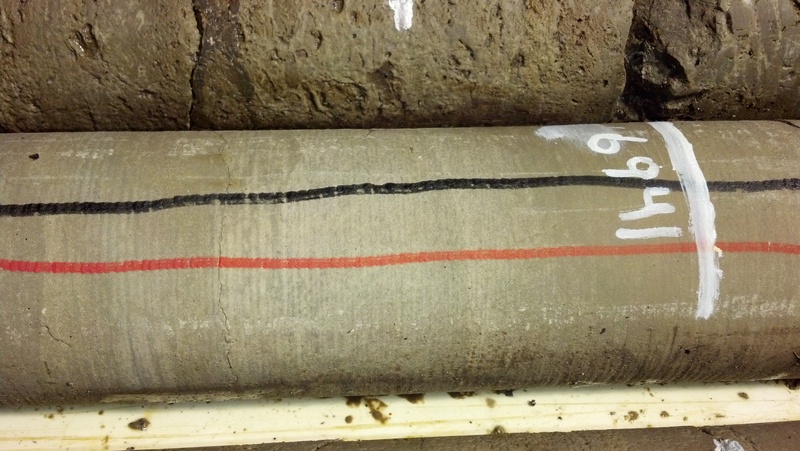 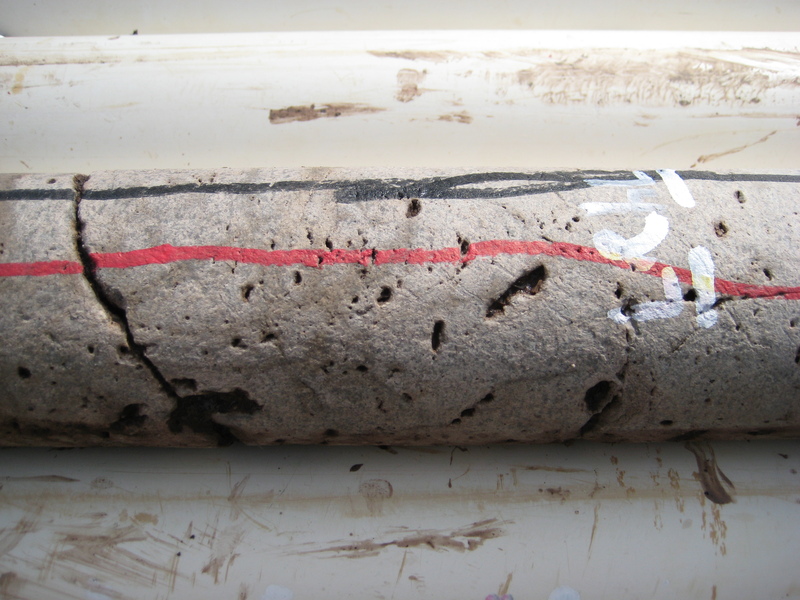 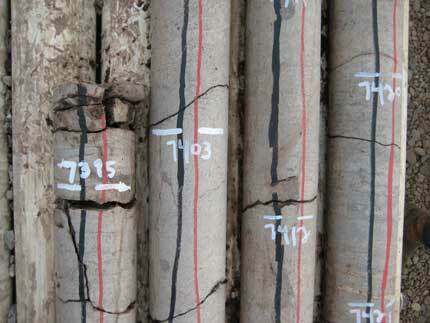 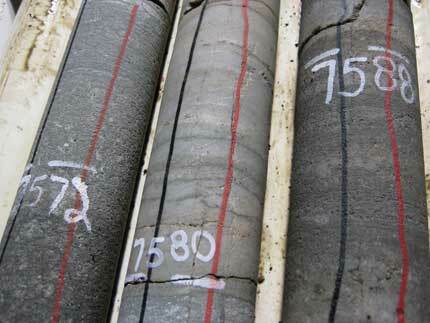 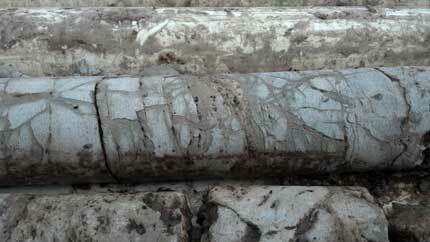 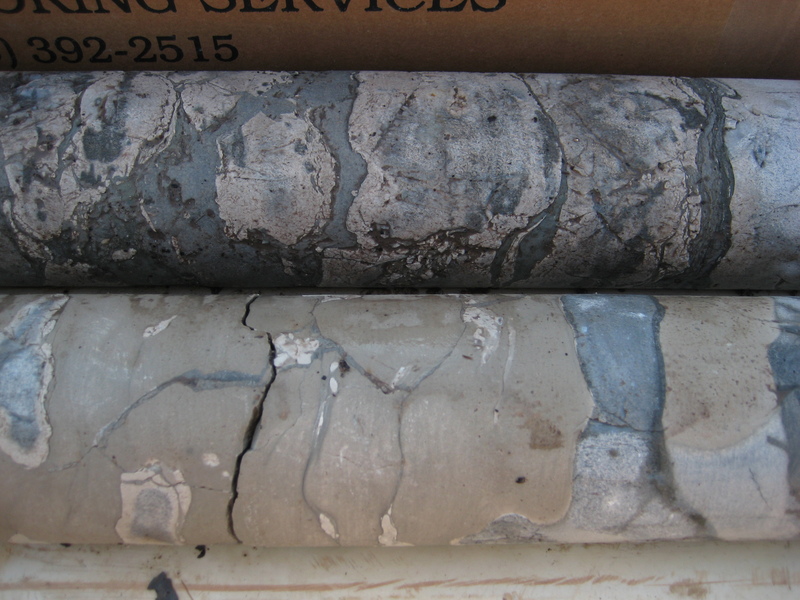 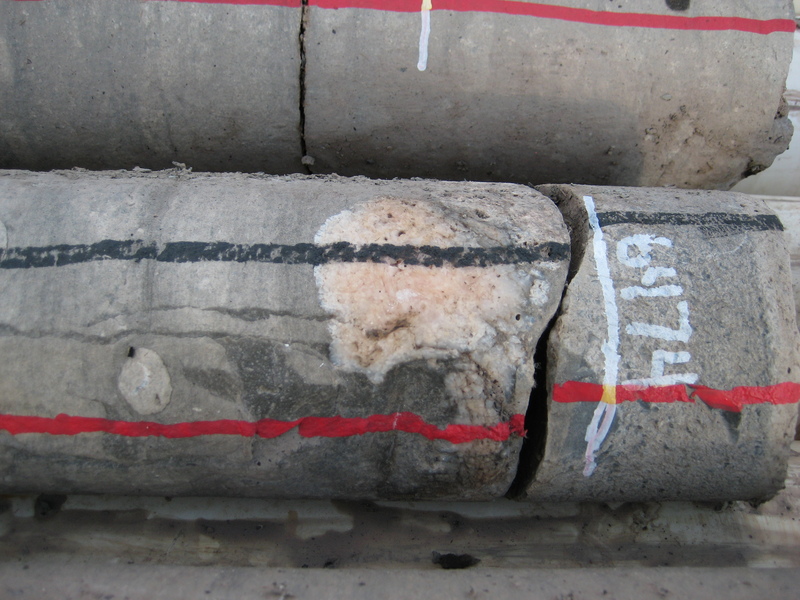 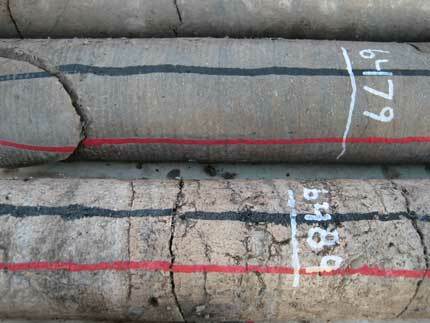 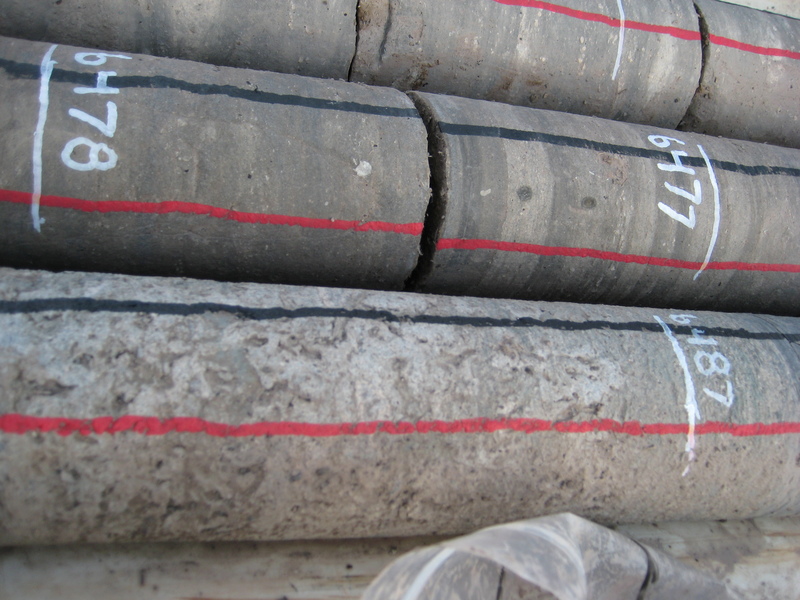 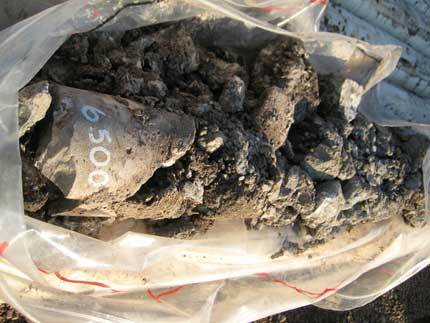 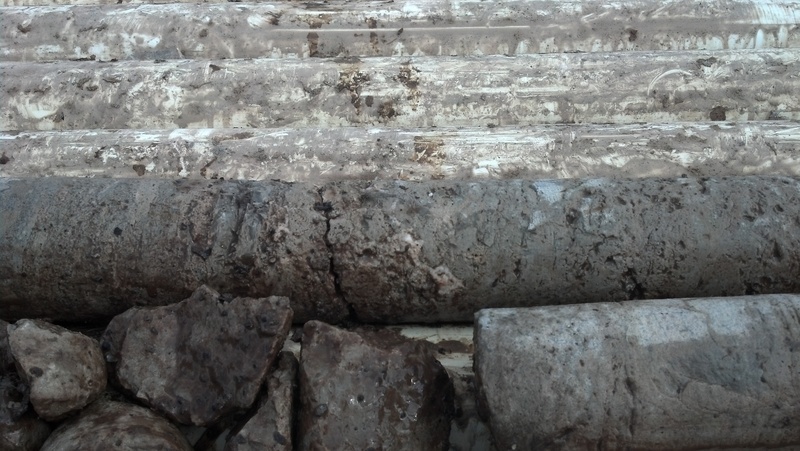 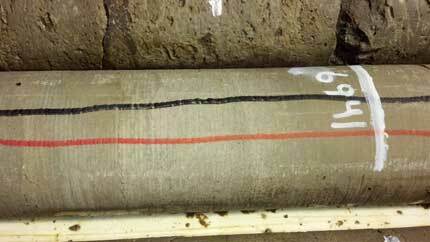 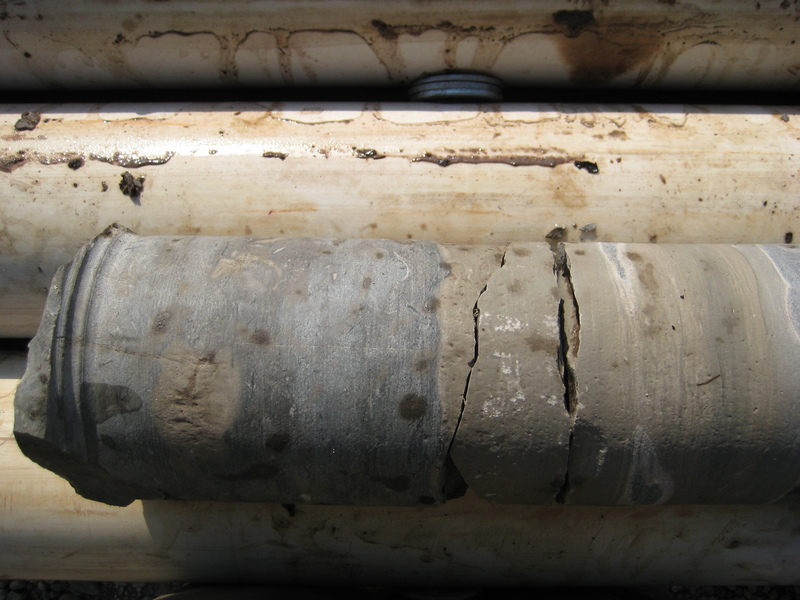 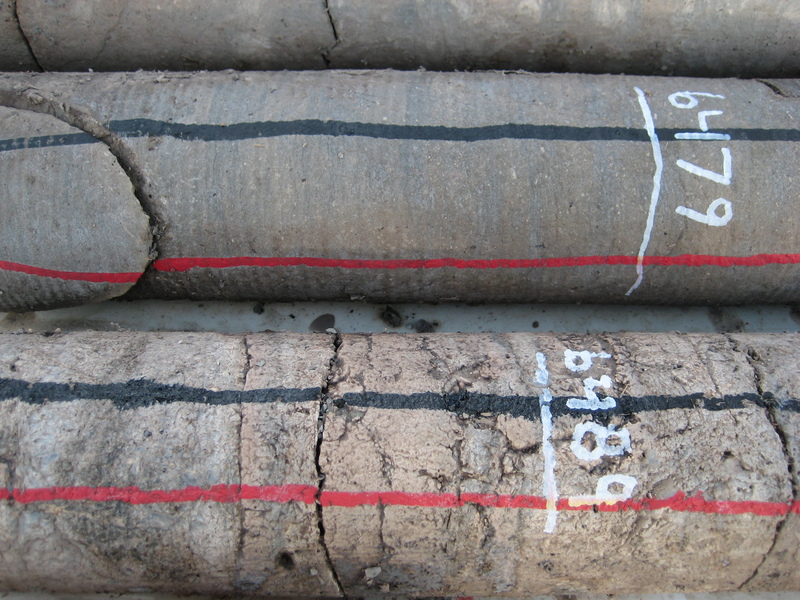 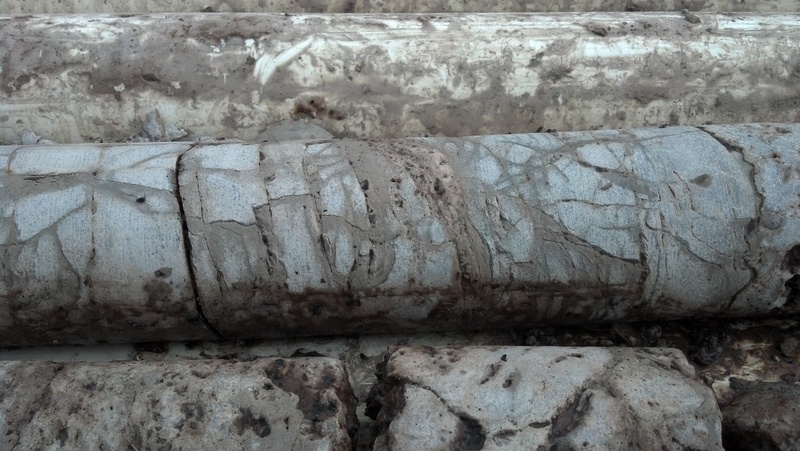 Pictures from field trip and cores from 6715-6769 feet. Core Photos from 6515-65430, Sept. 8, 2012. 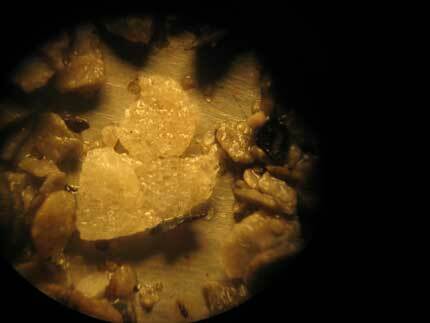 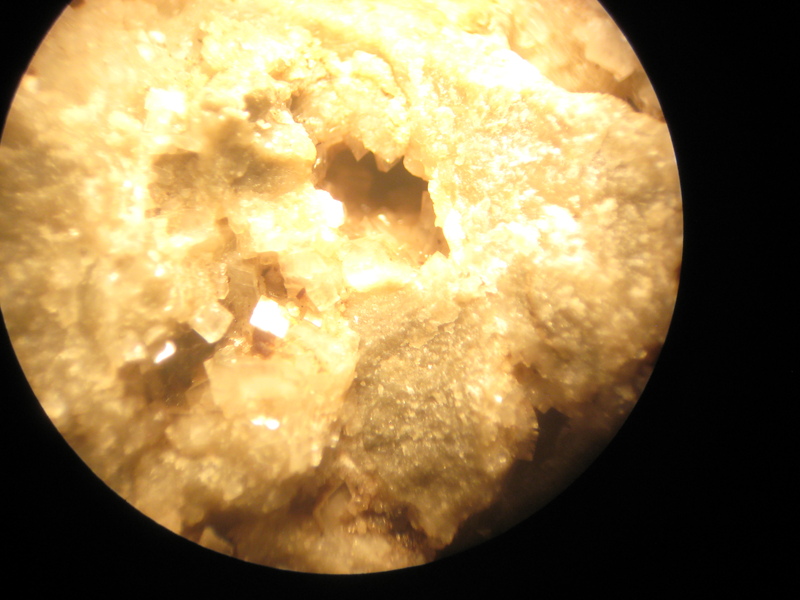 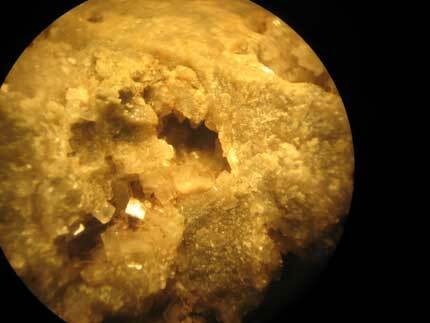 Cherts are lighter color here due to being more tripolitic, some with poor to fair porosity with darker medium crystaline dolomite matrix; there are a few light bands about 4 inch thick of finer dolomite of a lighter color.